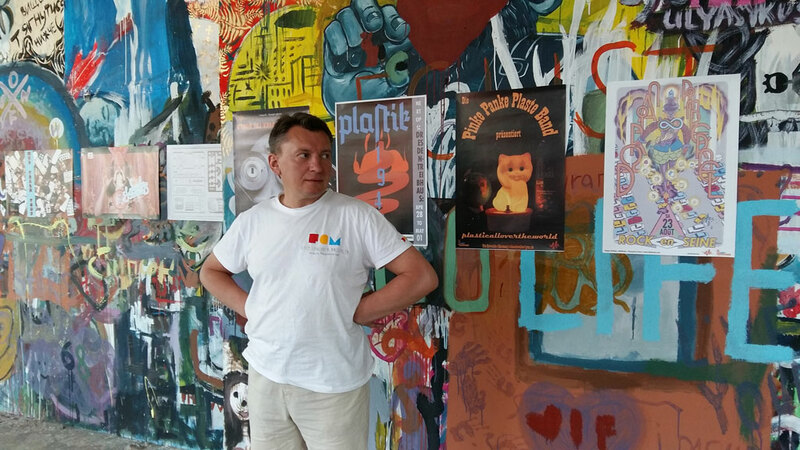 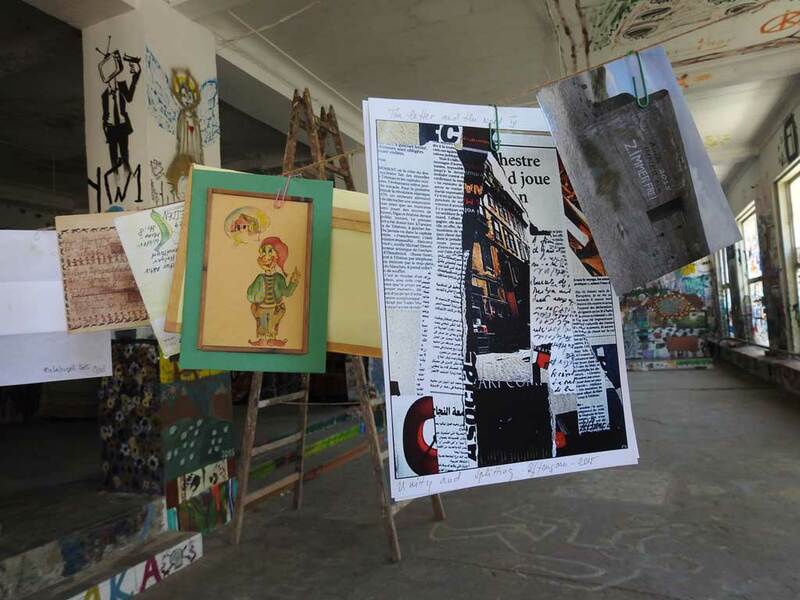 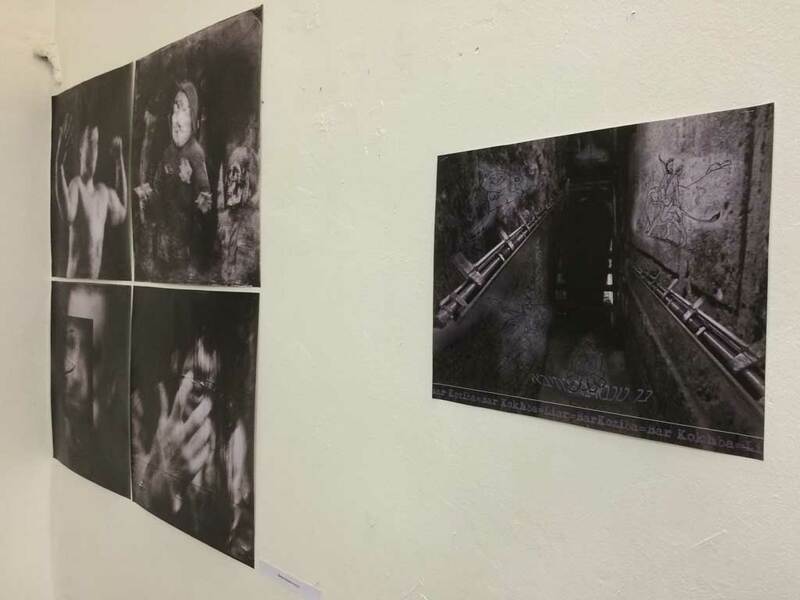 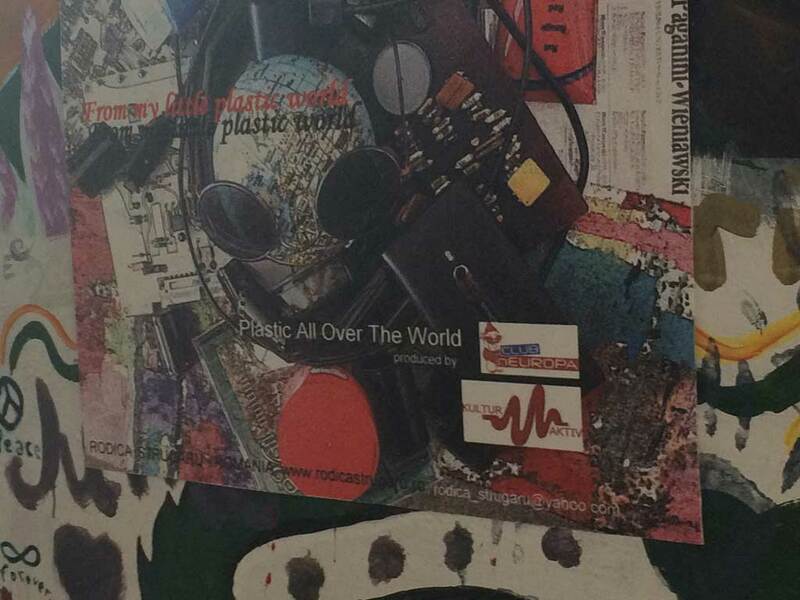 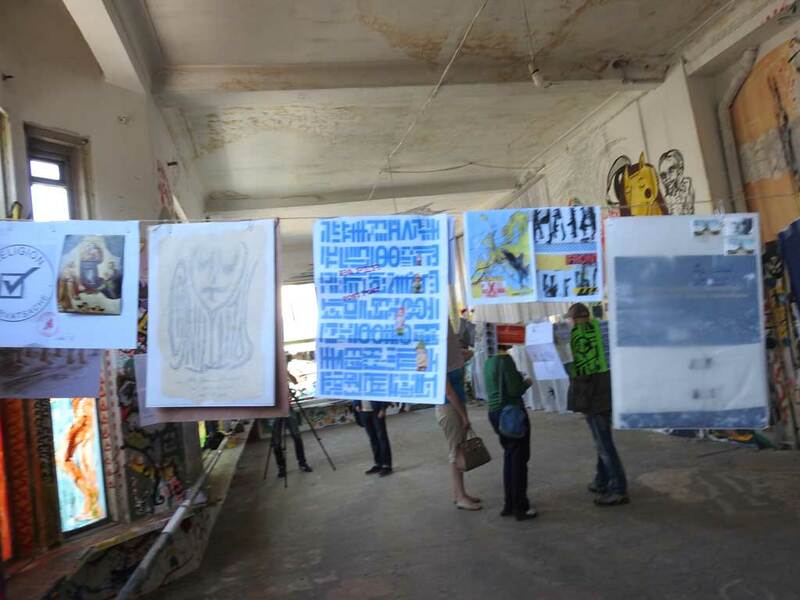 We presented with our friends from Centre for Contemporary Arts in the famous old Hotel Dnistr in Ivano-Frankivsk the Poster Project “Plastic All Over The World” and the Mail Art Projects “Insurrection of Dwarfs” and “Unity and Splitting” as a second step with following exhibitions in different countries. 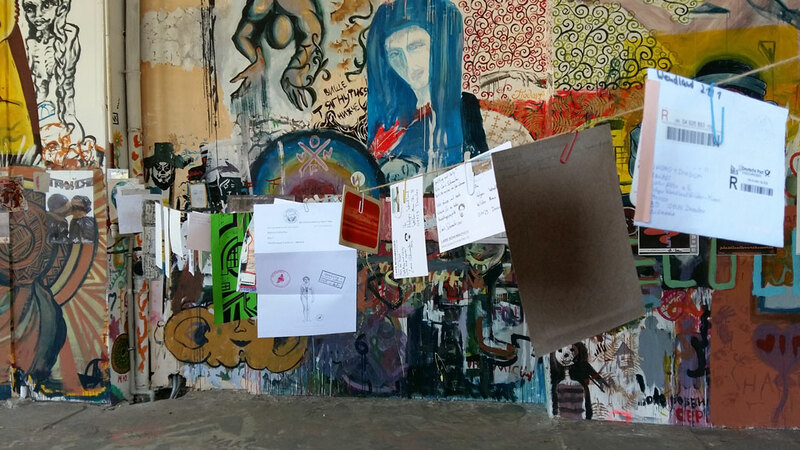 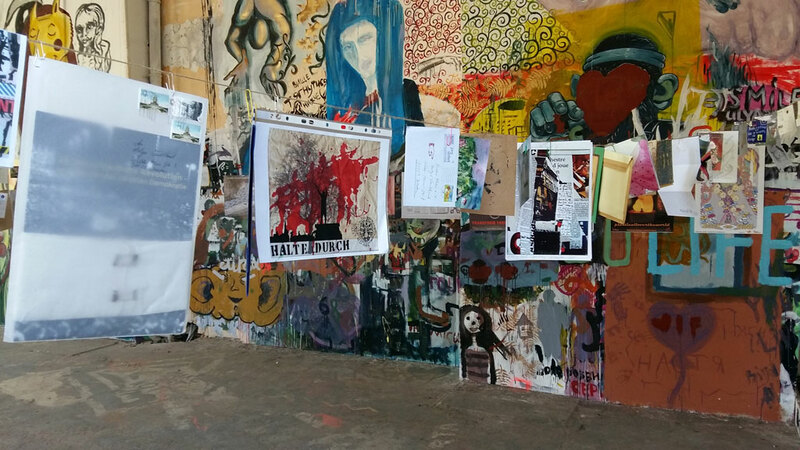 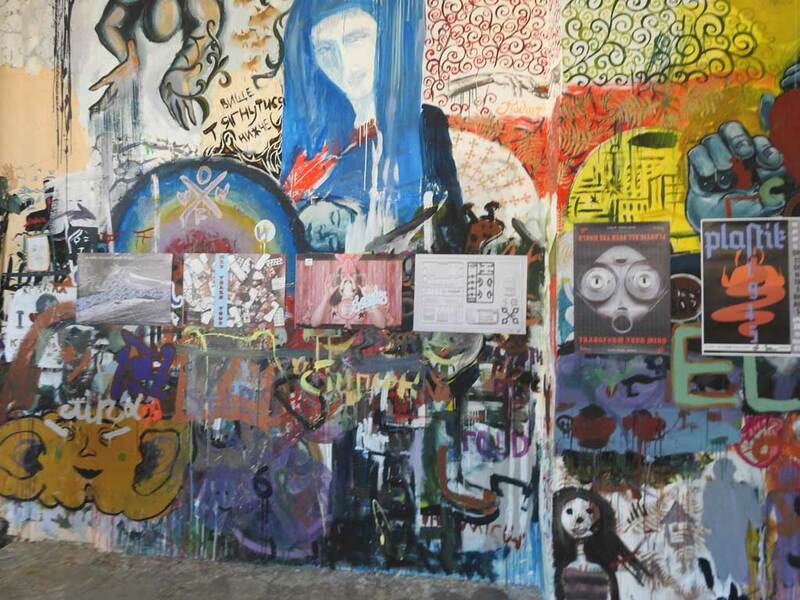 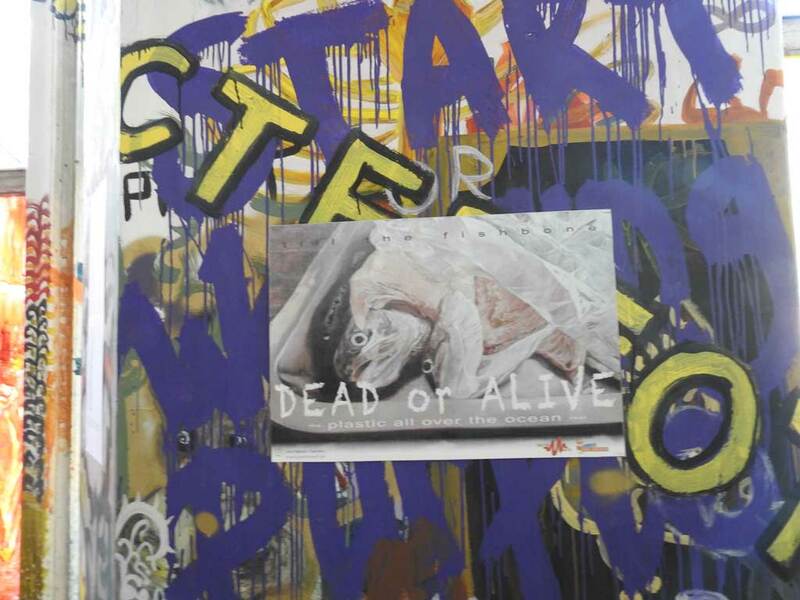 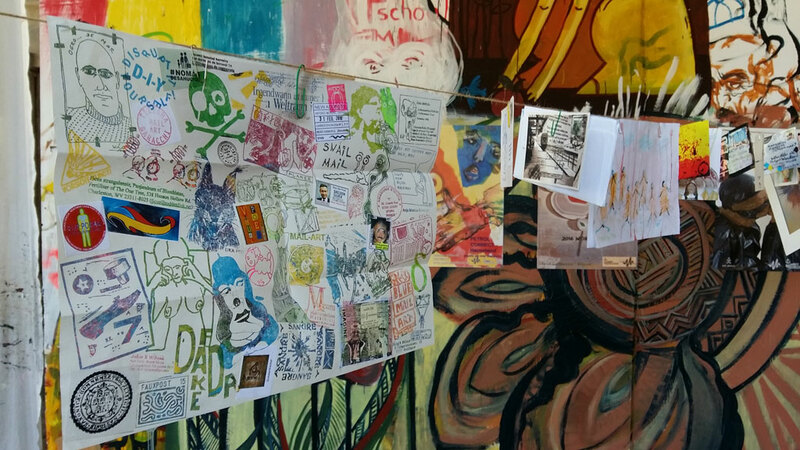 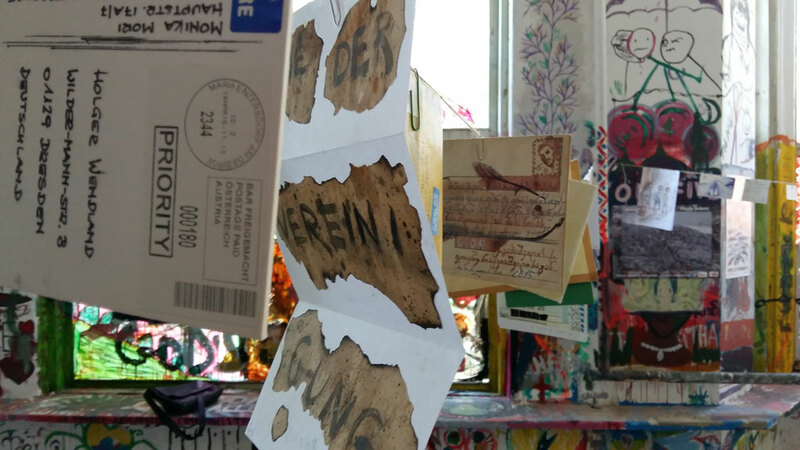 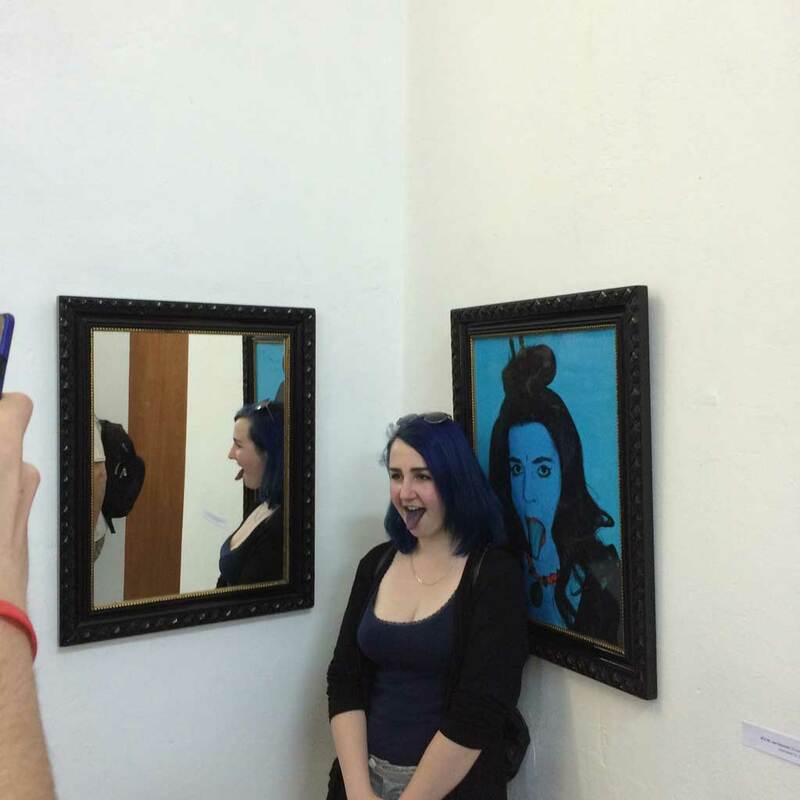 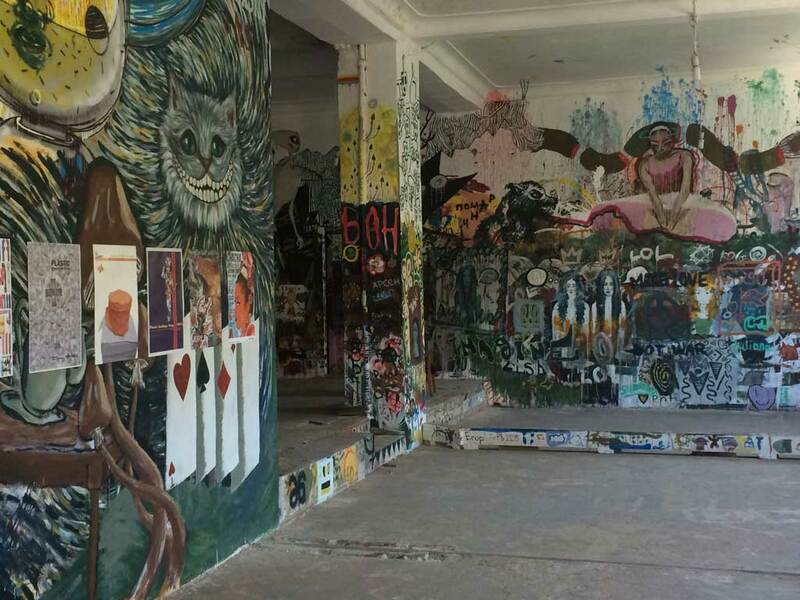 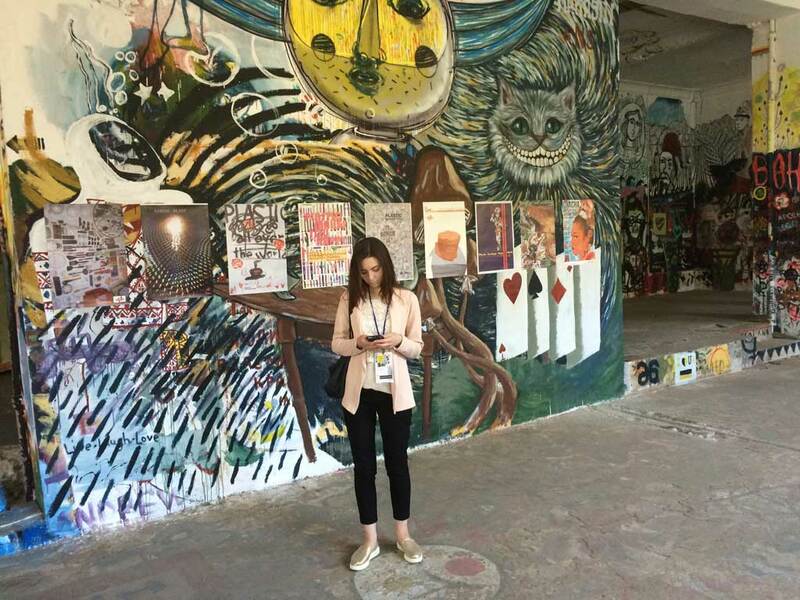 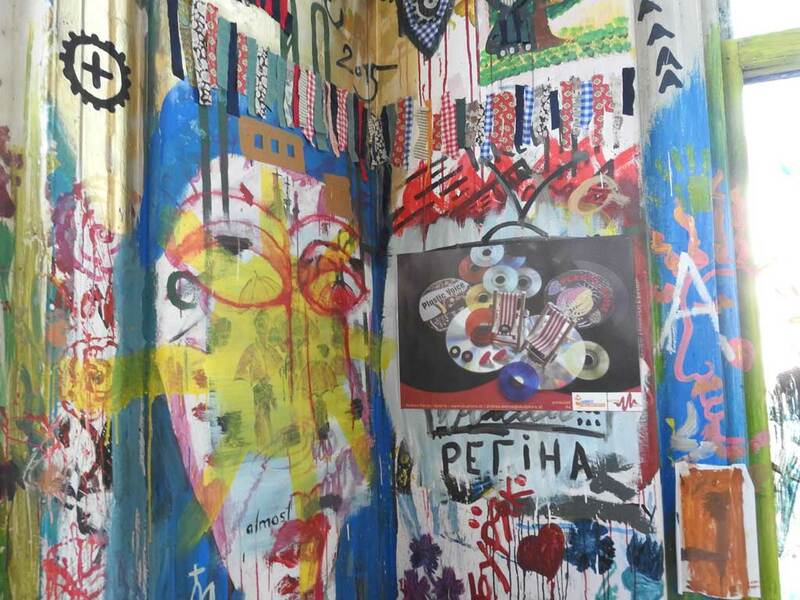 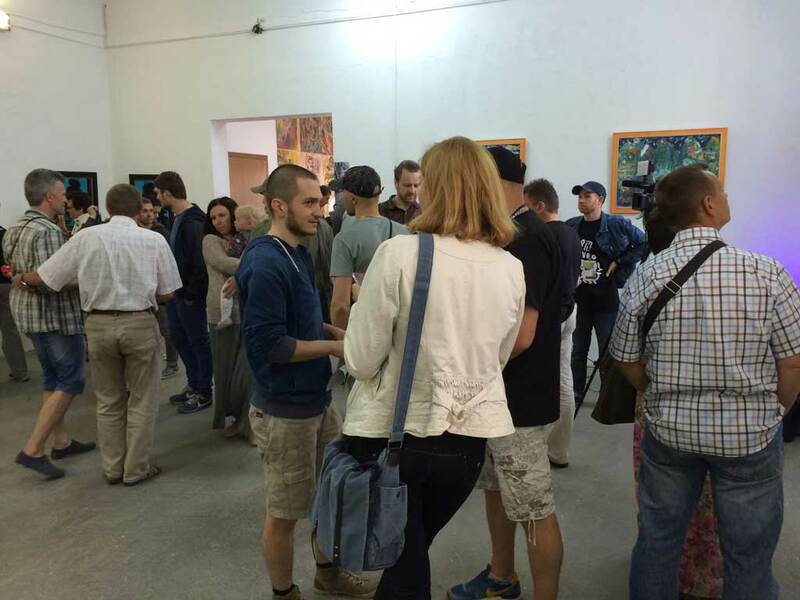 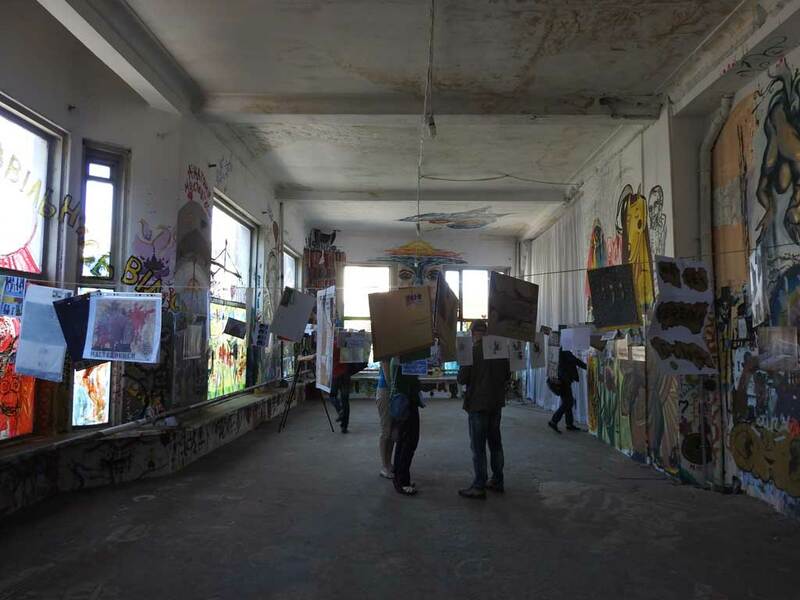 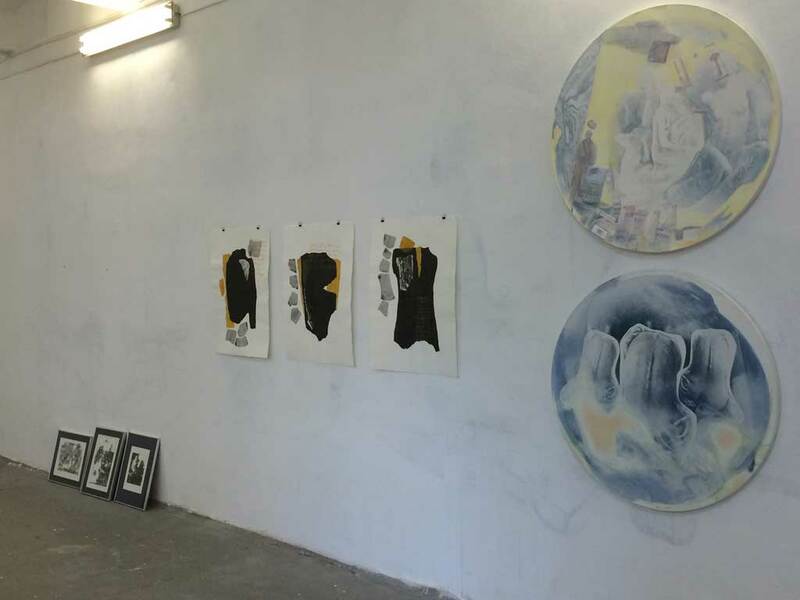 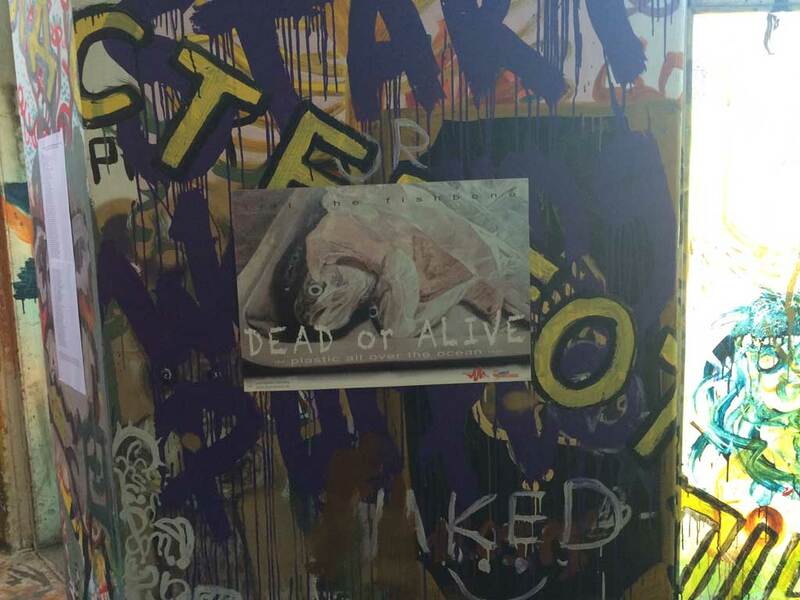 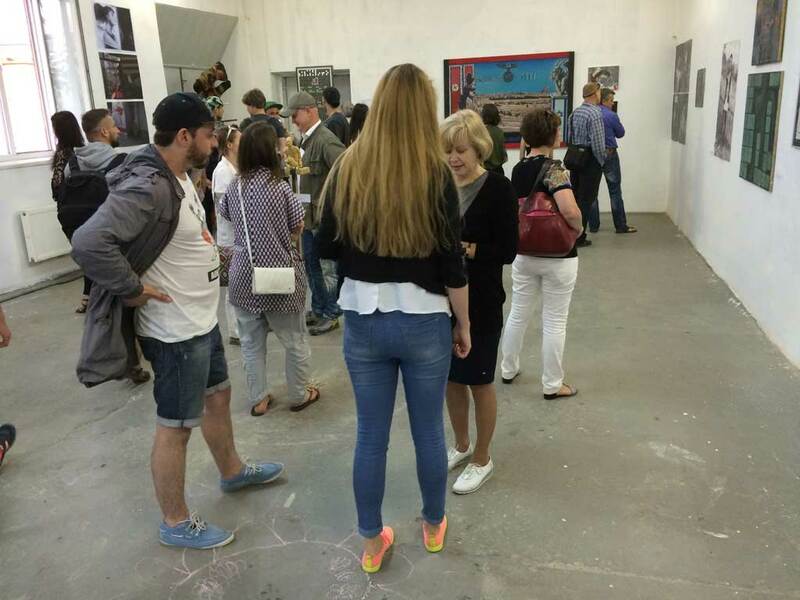 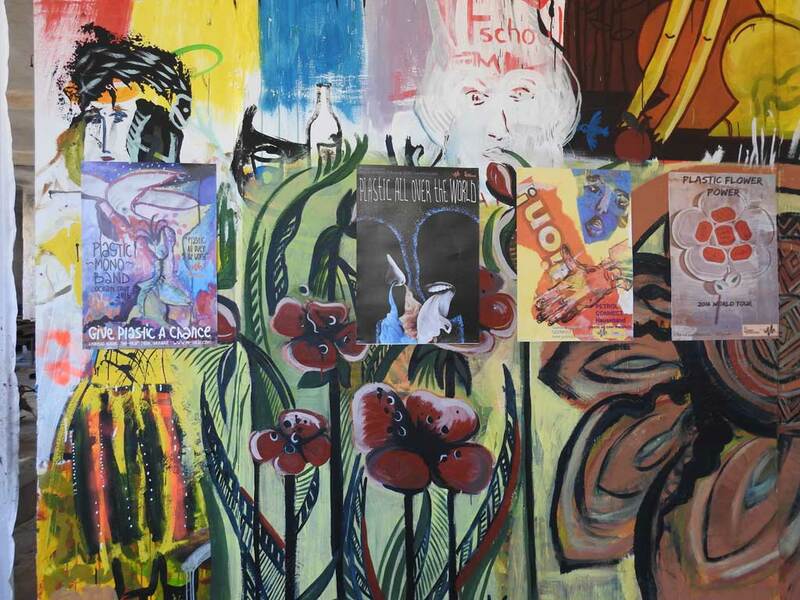 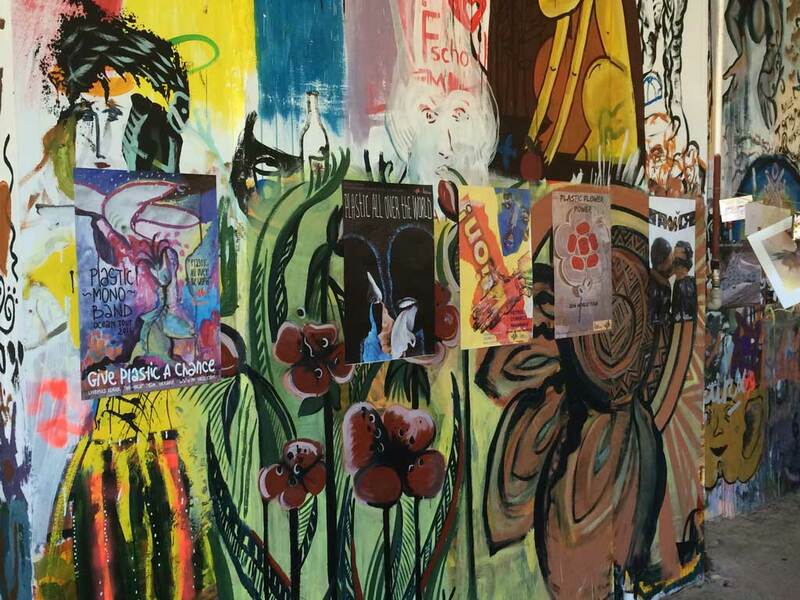 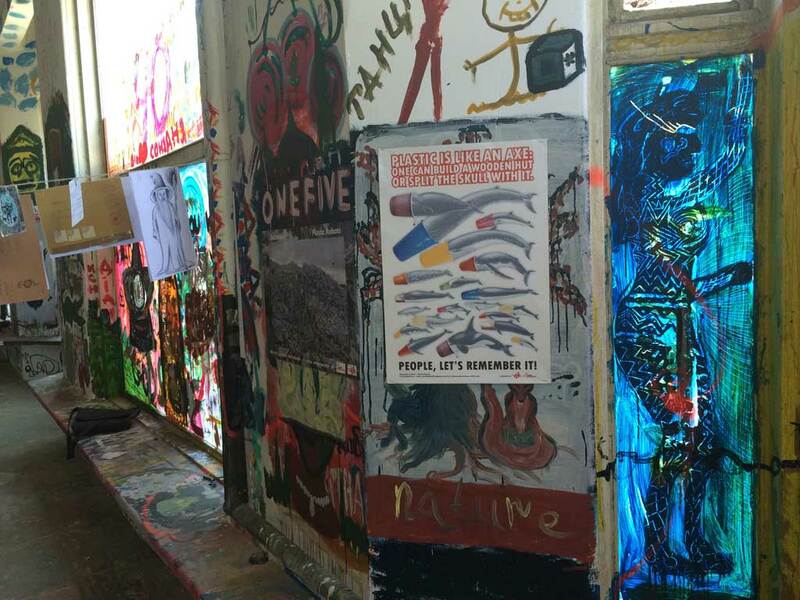 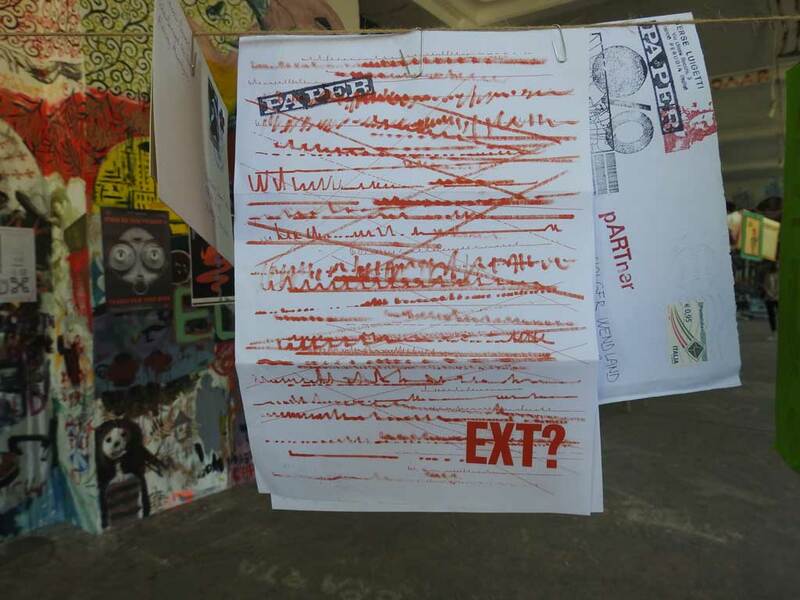 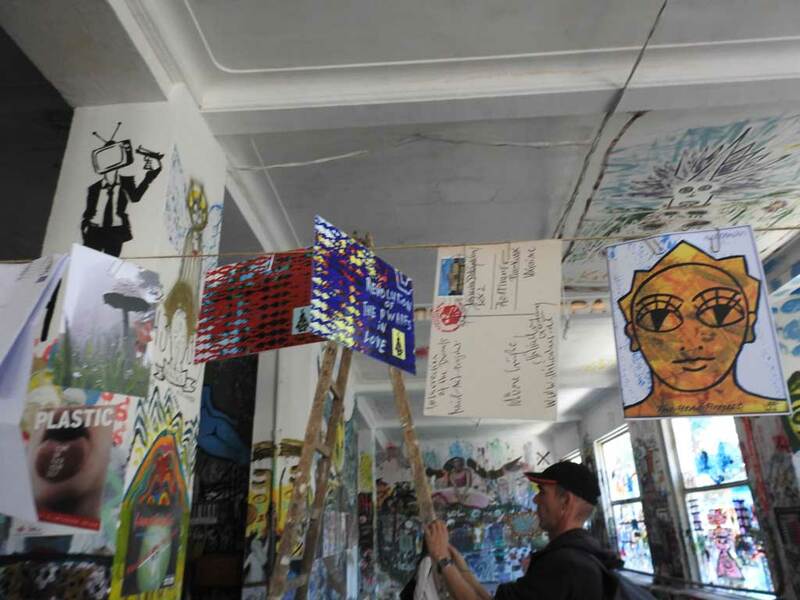 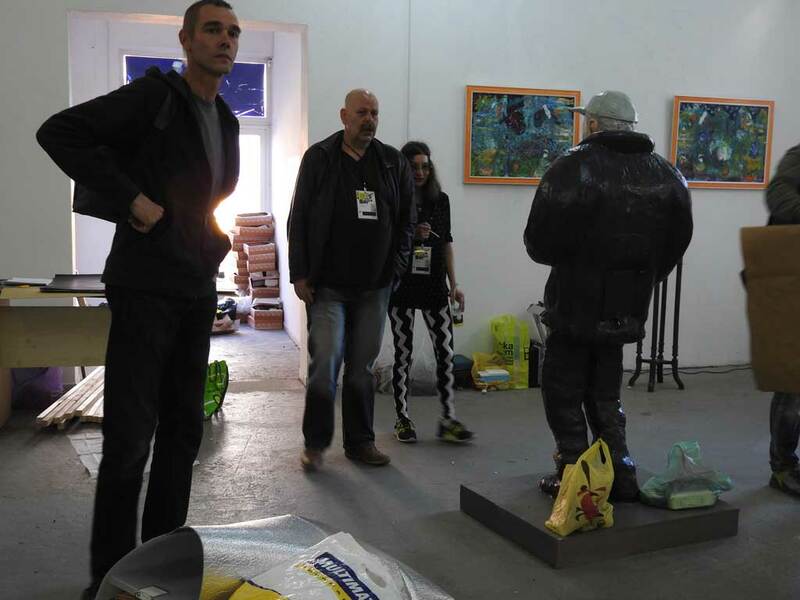 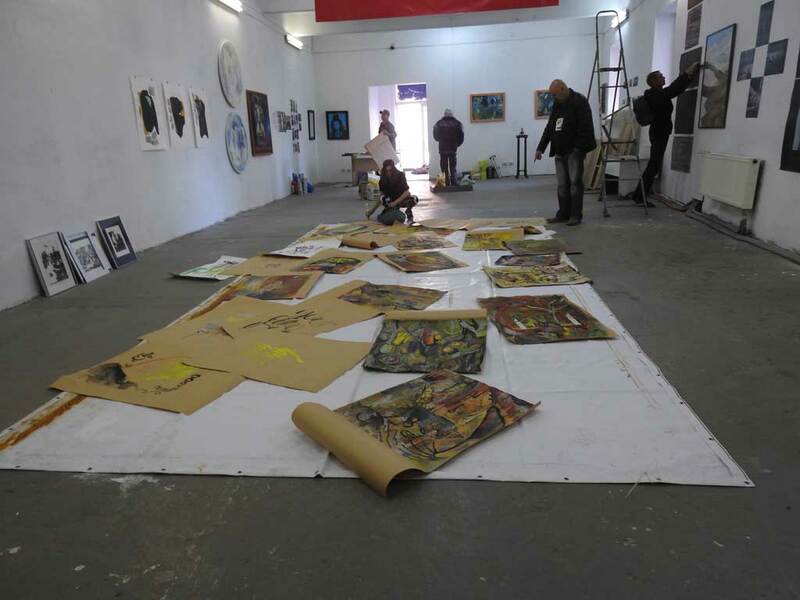 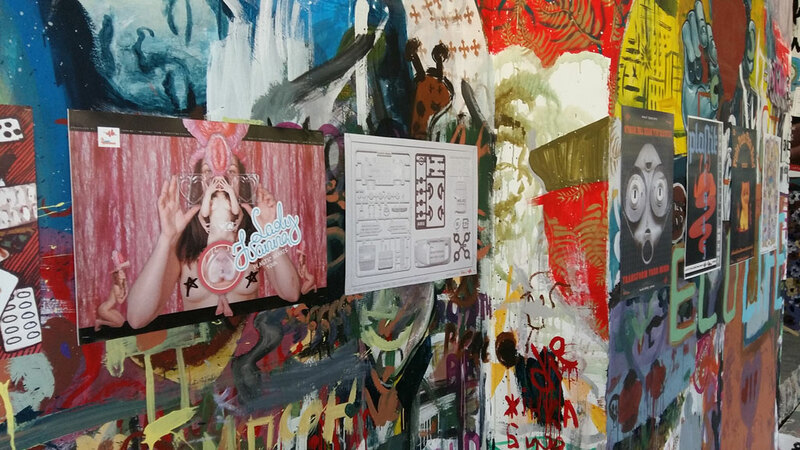 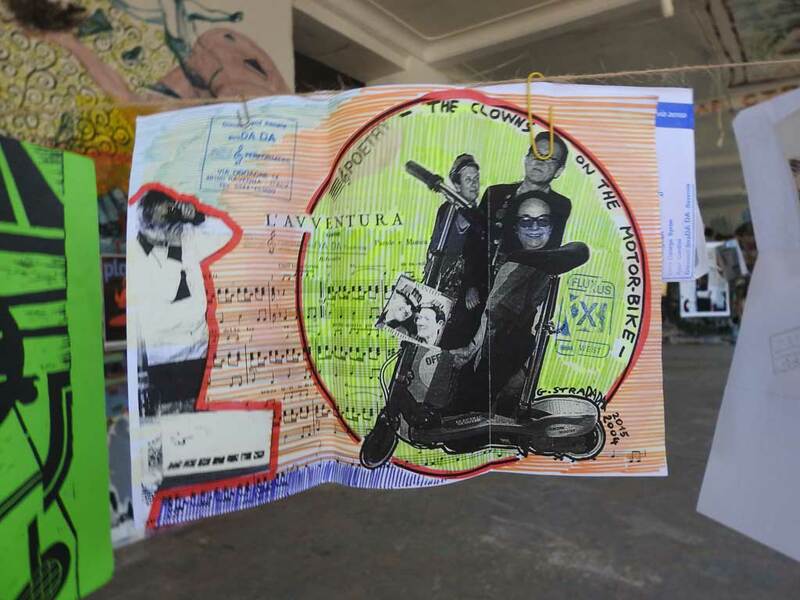 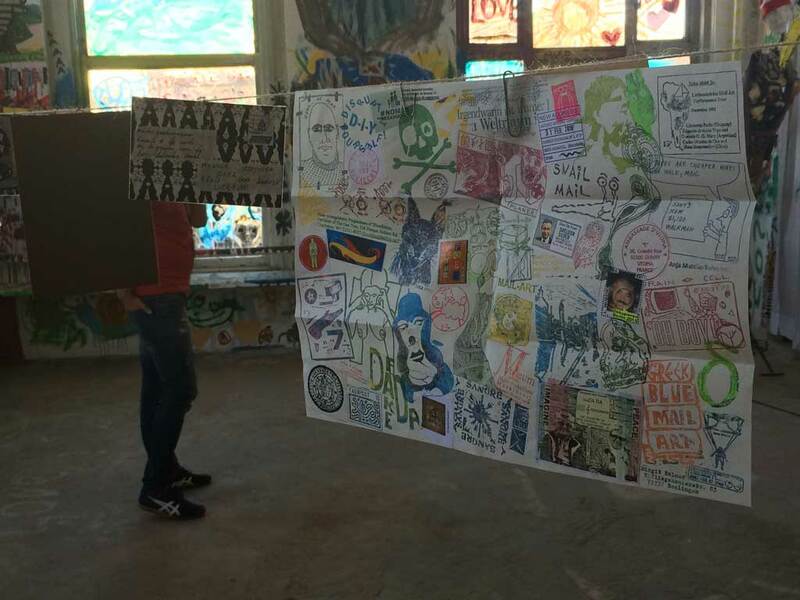 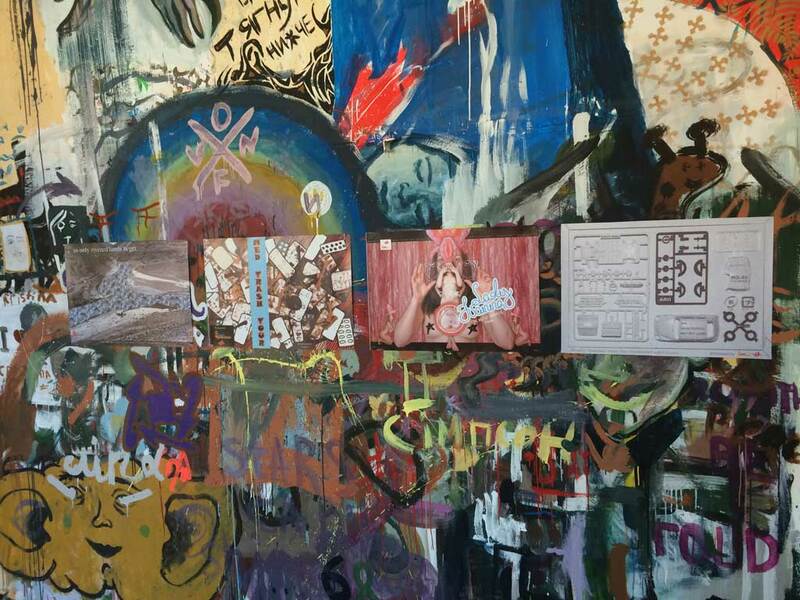 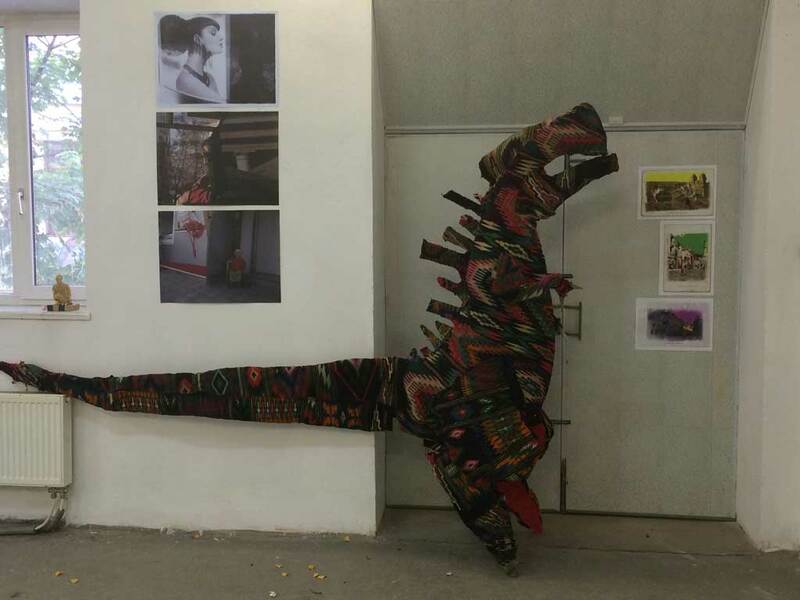 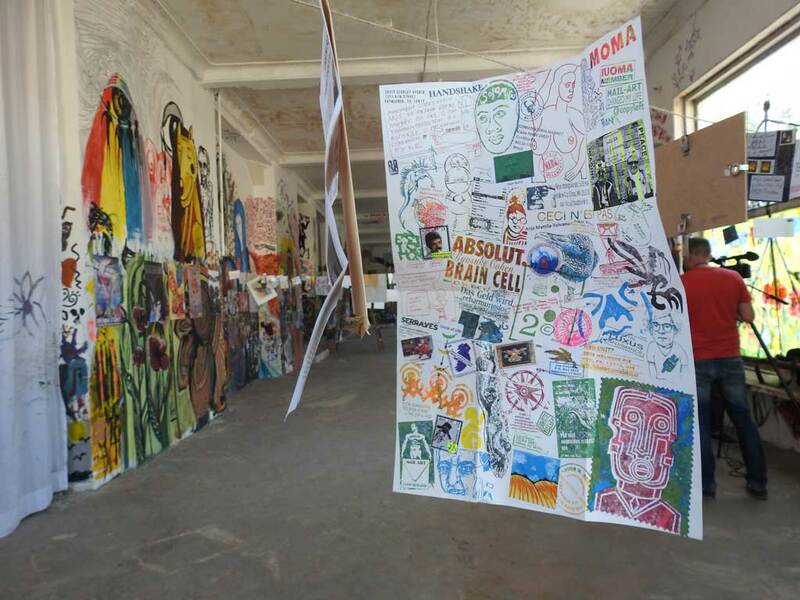 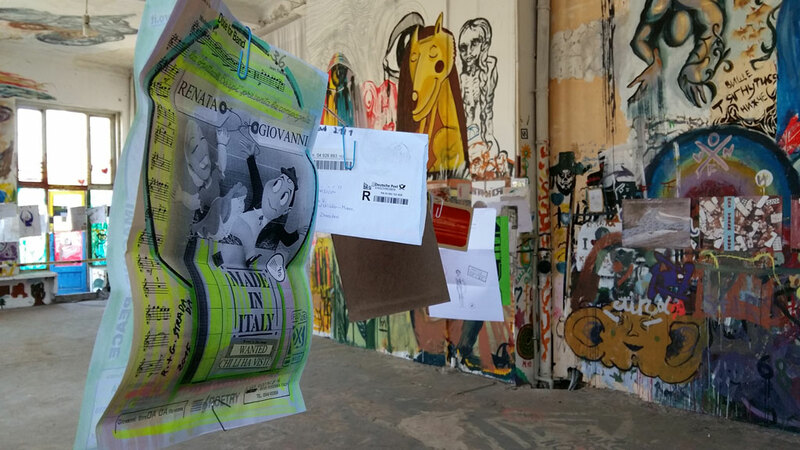 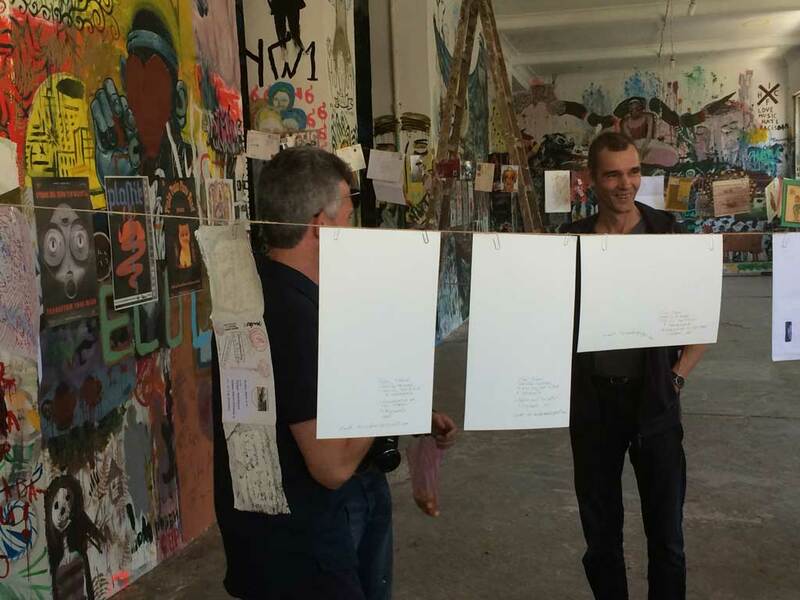 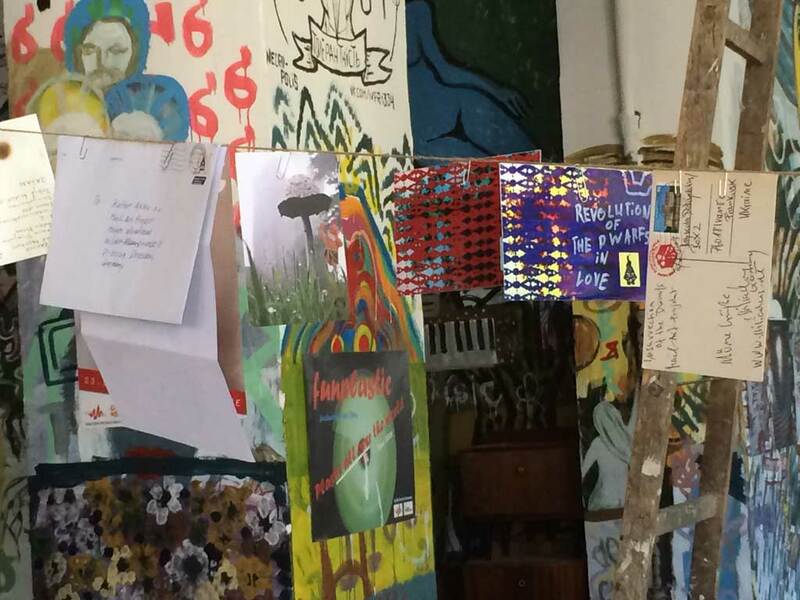 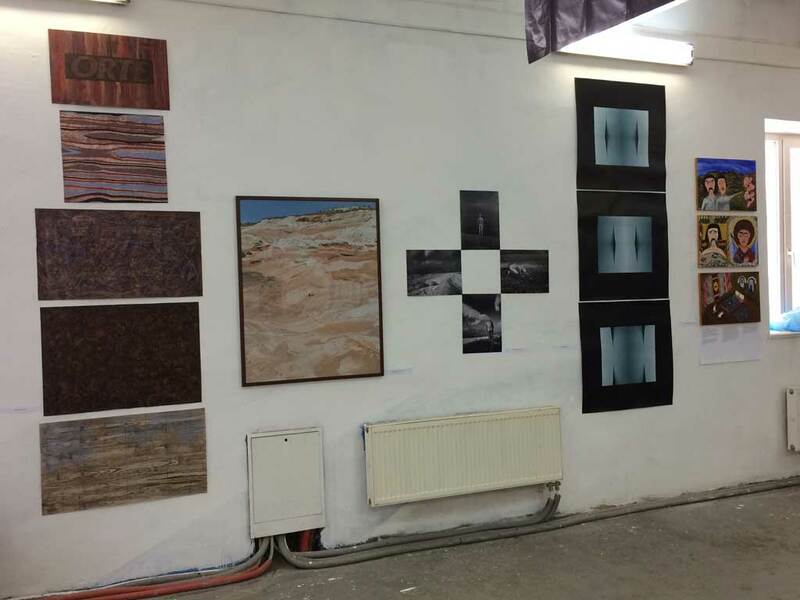 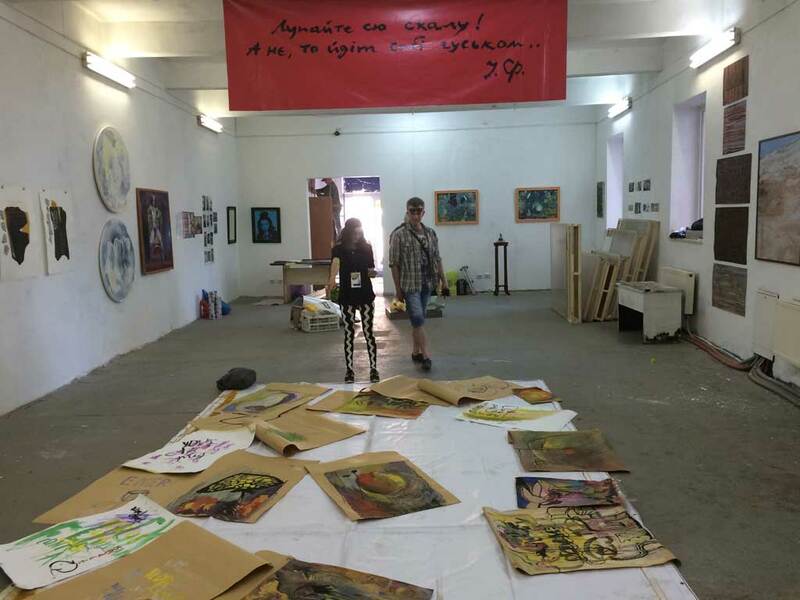 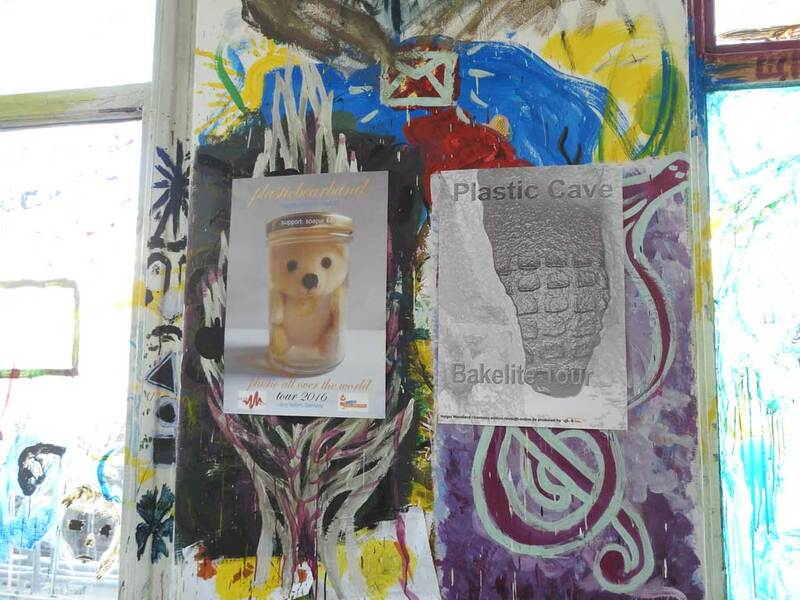 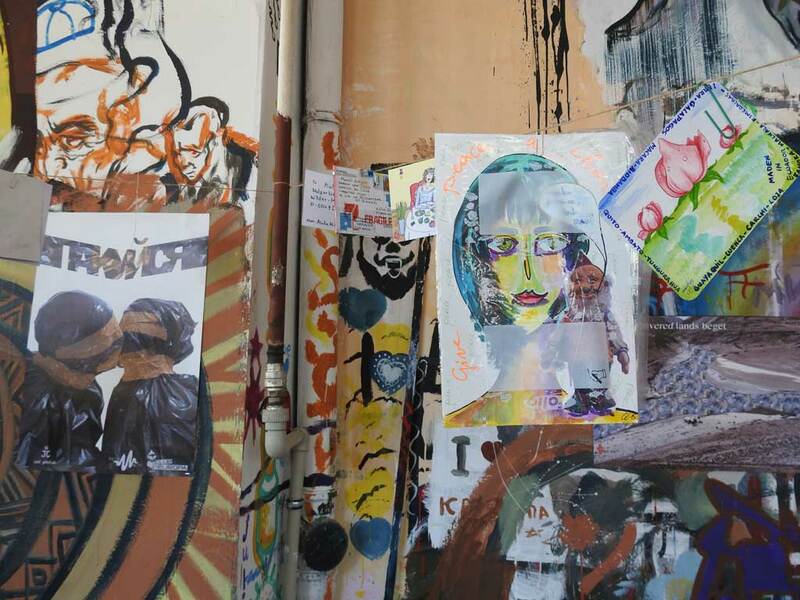 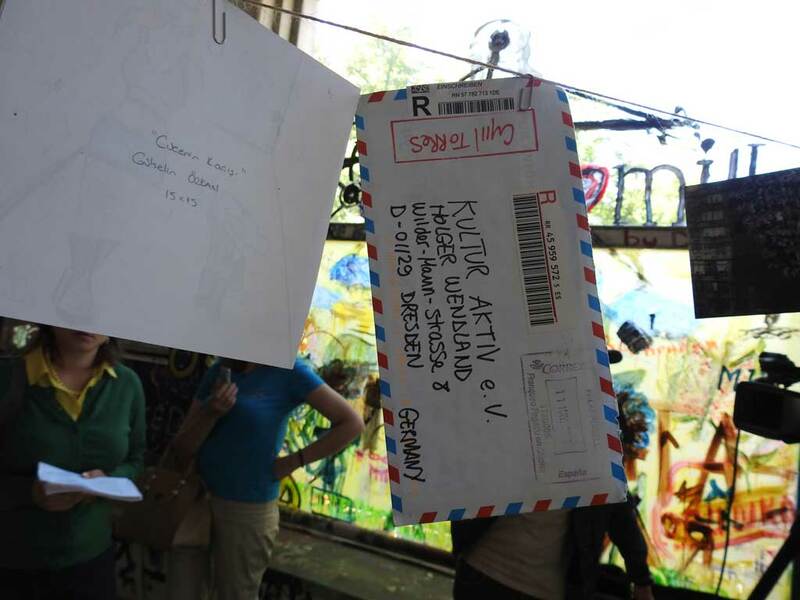 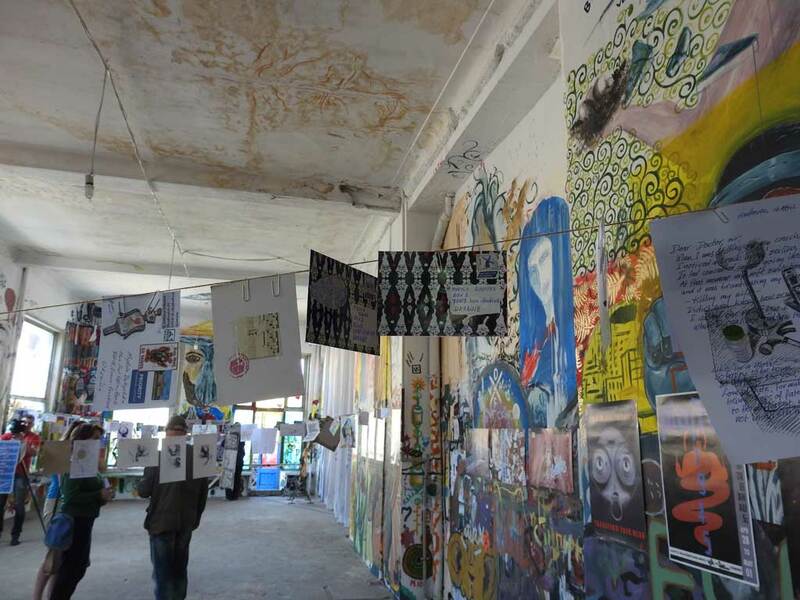 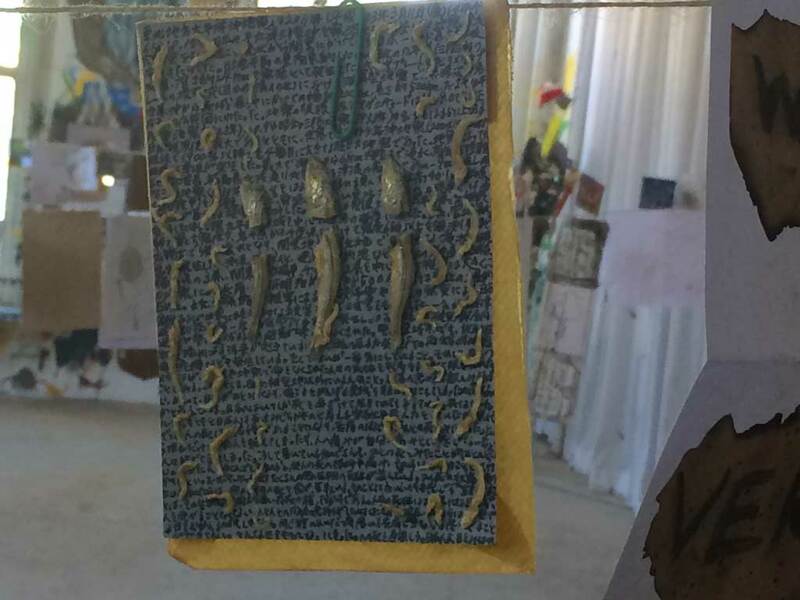 The exhibition took place in the second floor in which had the famous Pawel Althamer an important Art Residence. 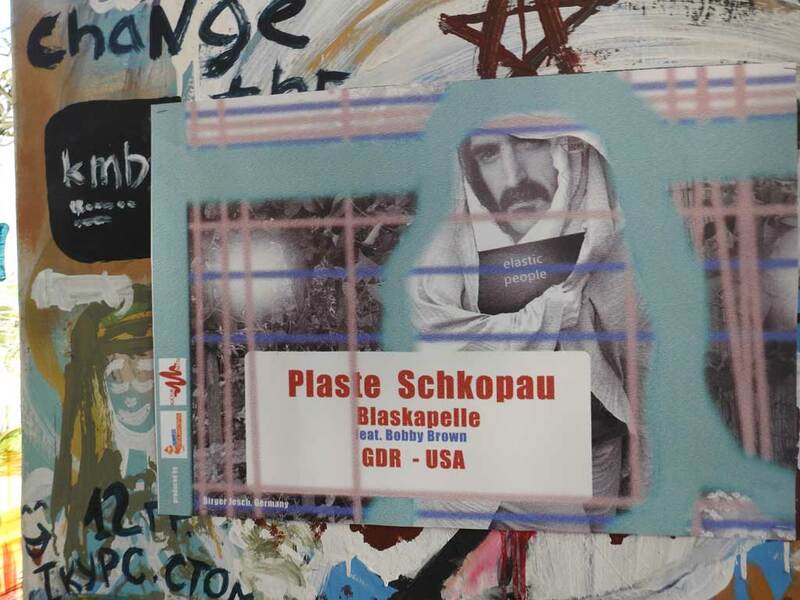 “To be honest, I haven’t heard anything about Pawel Althamer. 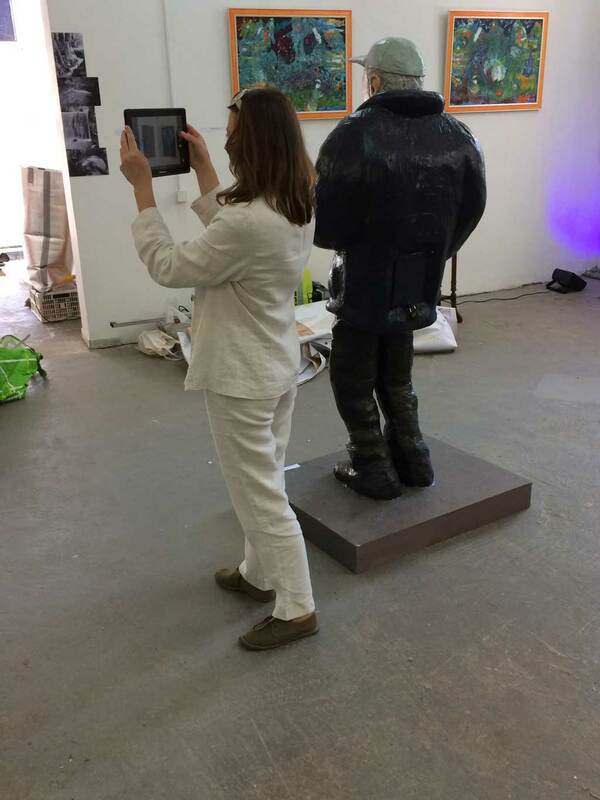 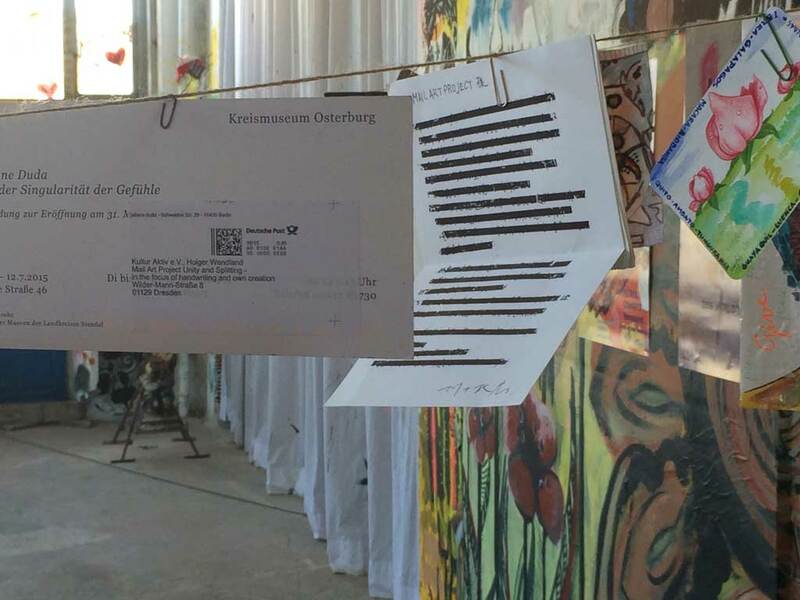 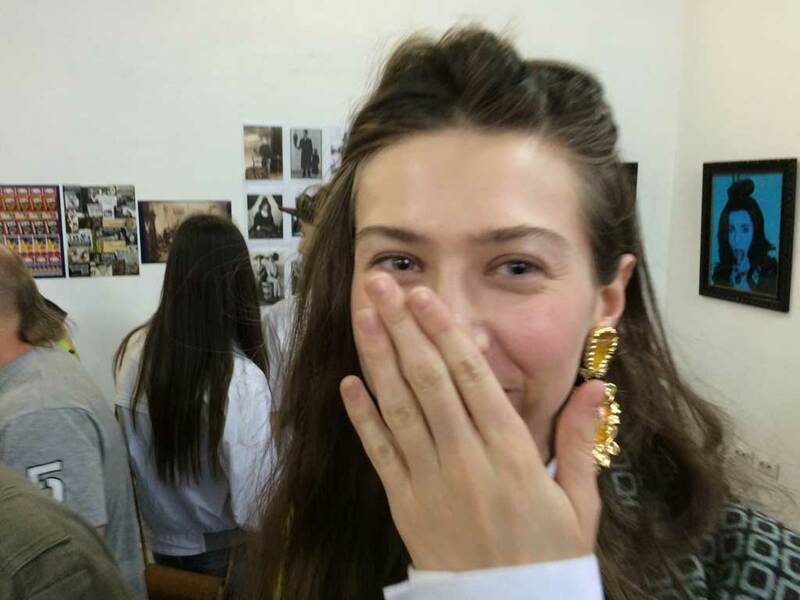 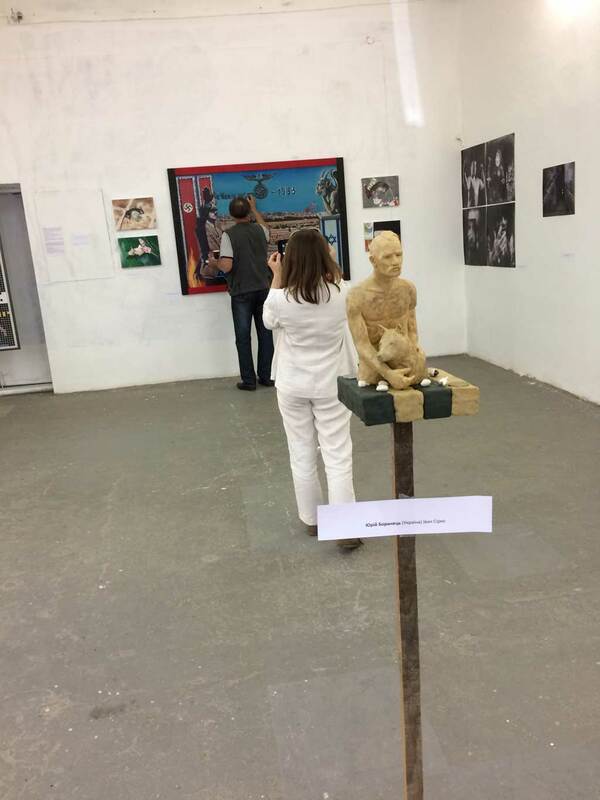 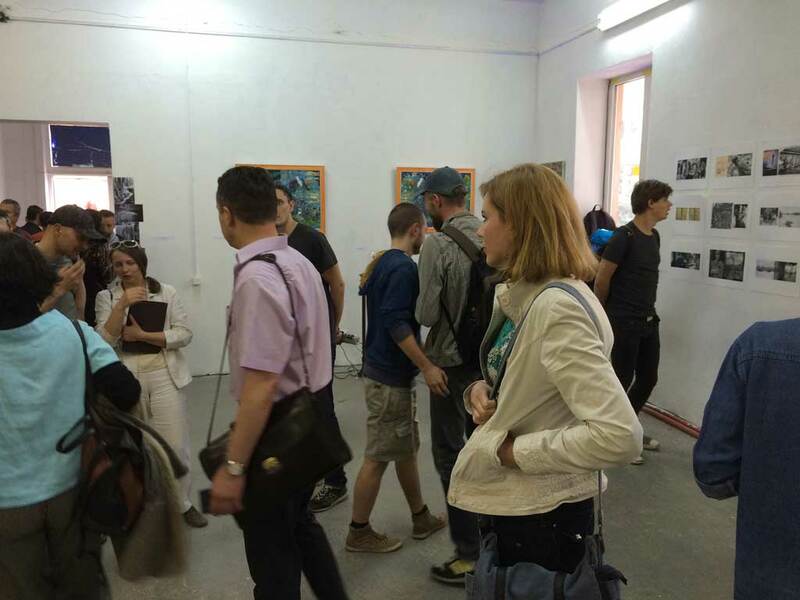 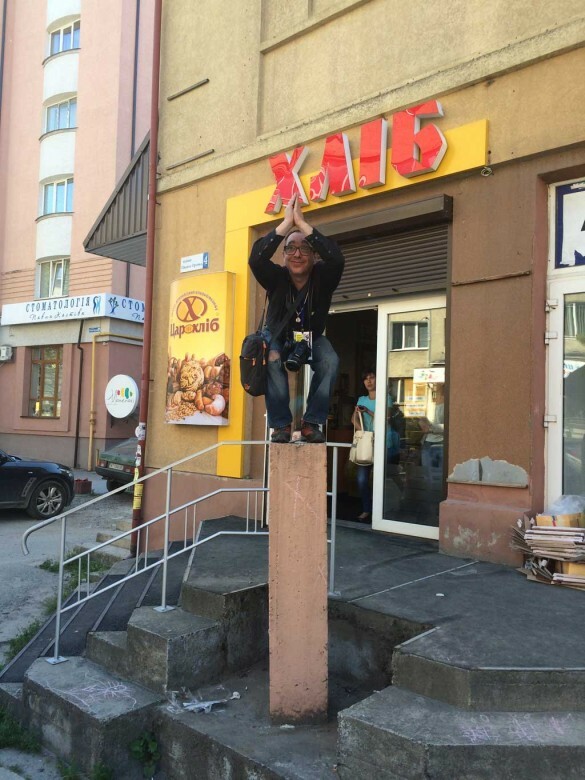 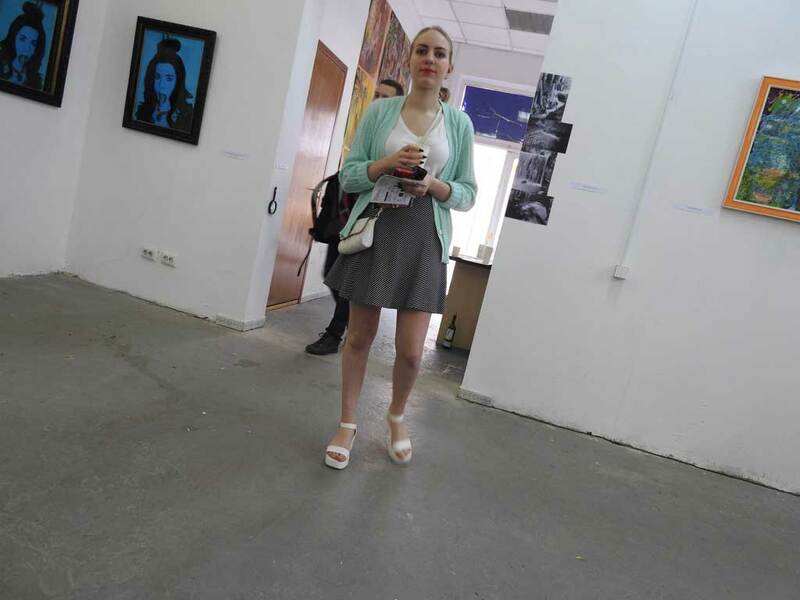 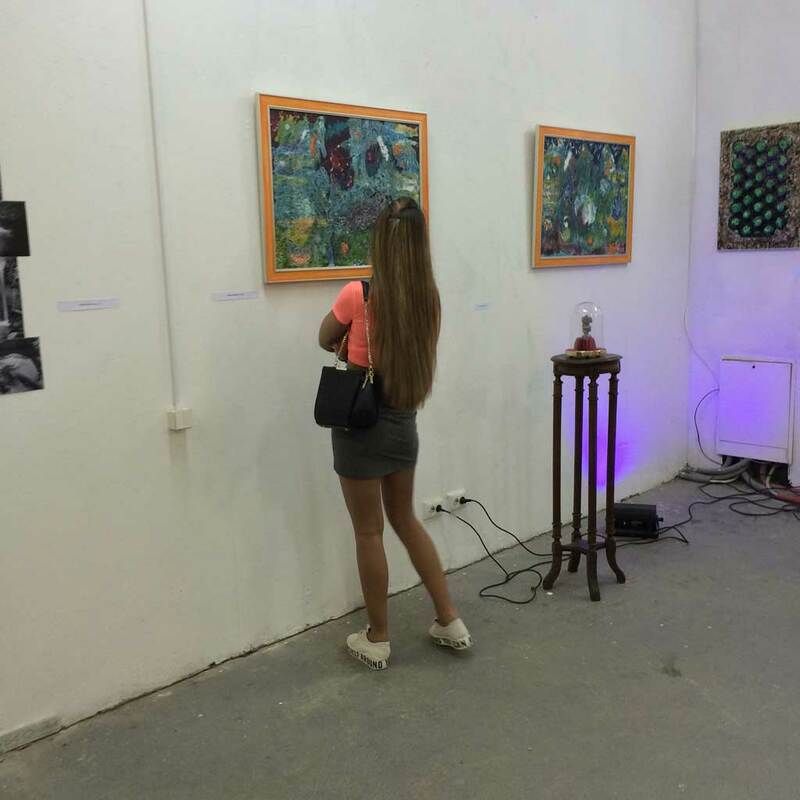 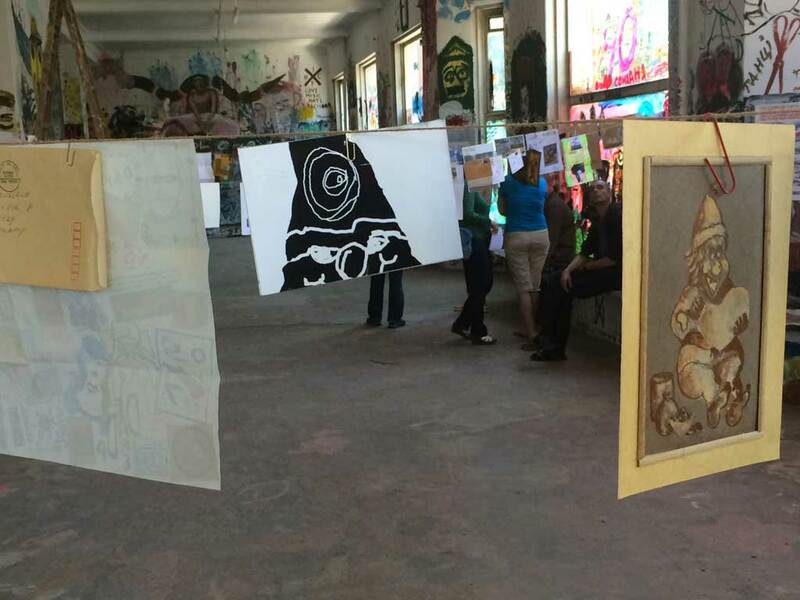 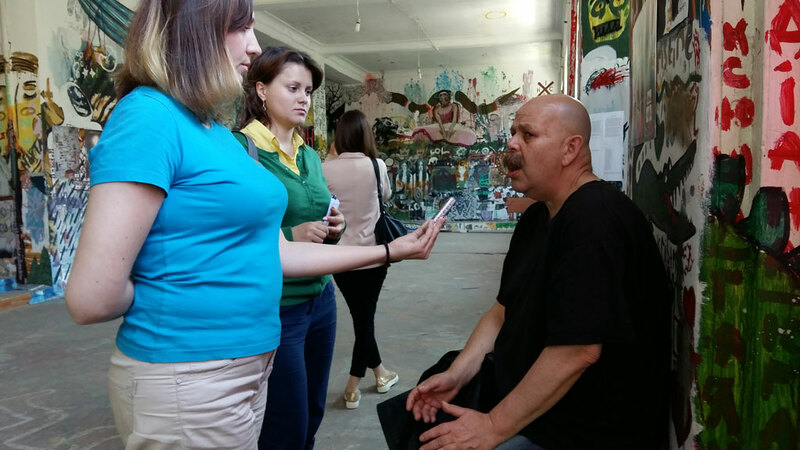 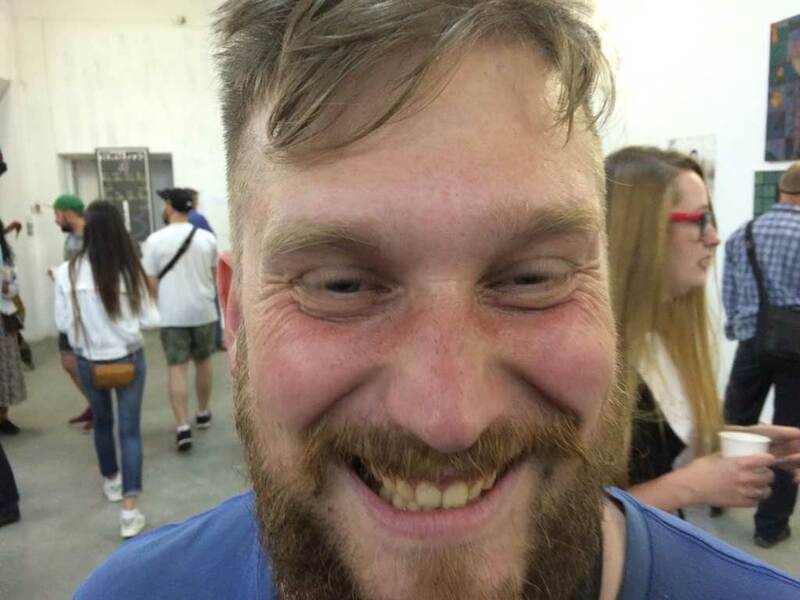 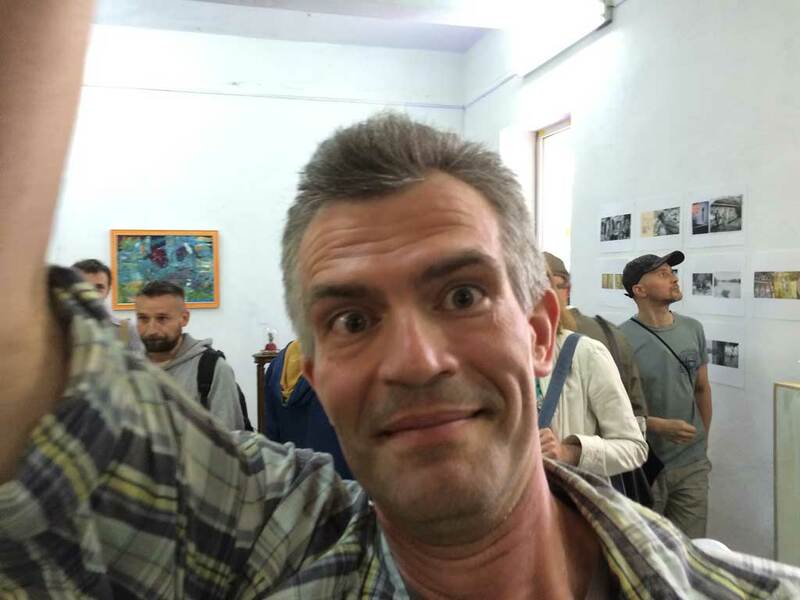 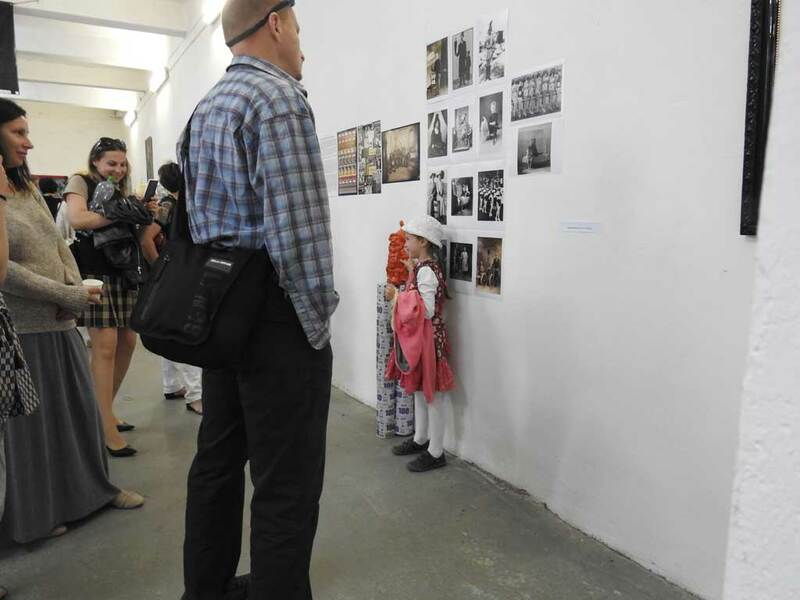 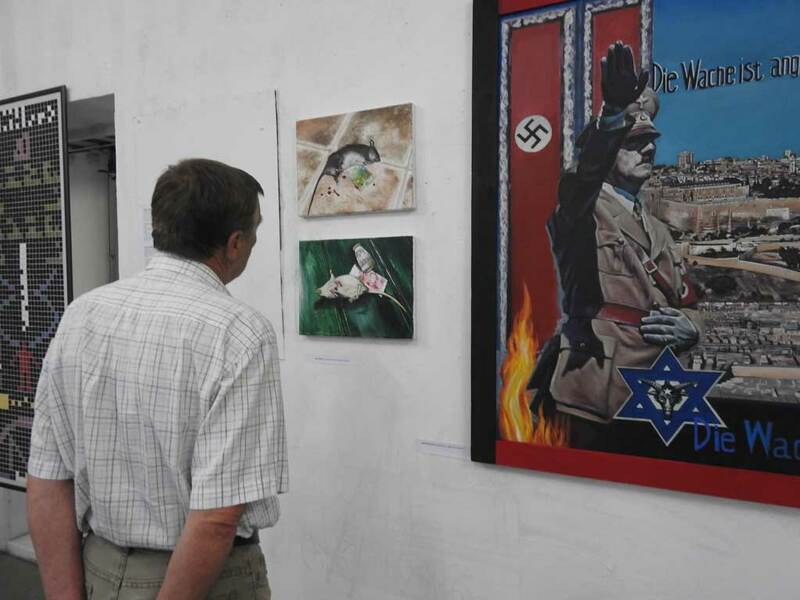 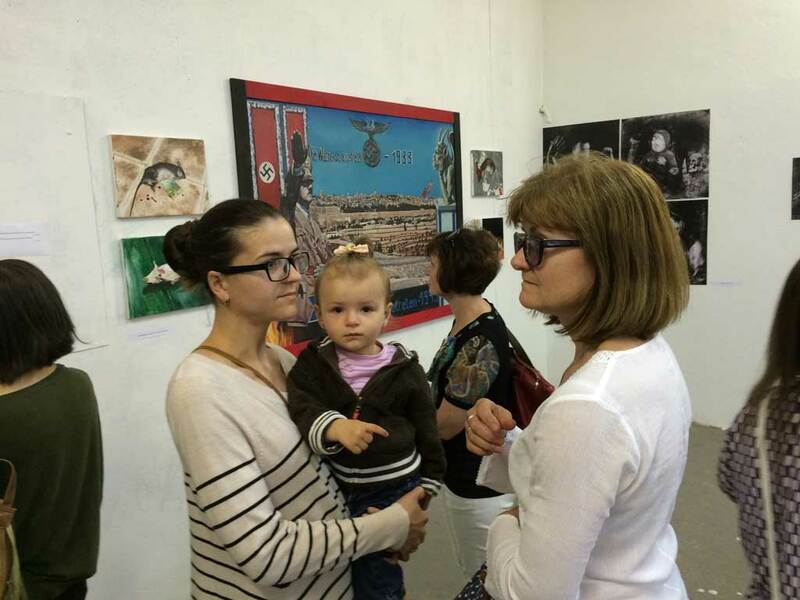 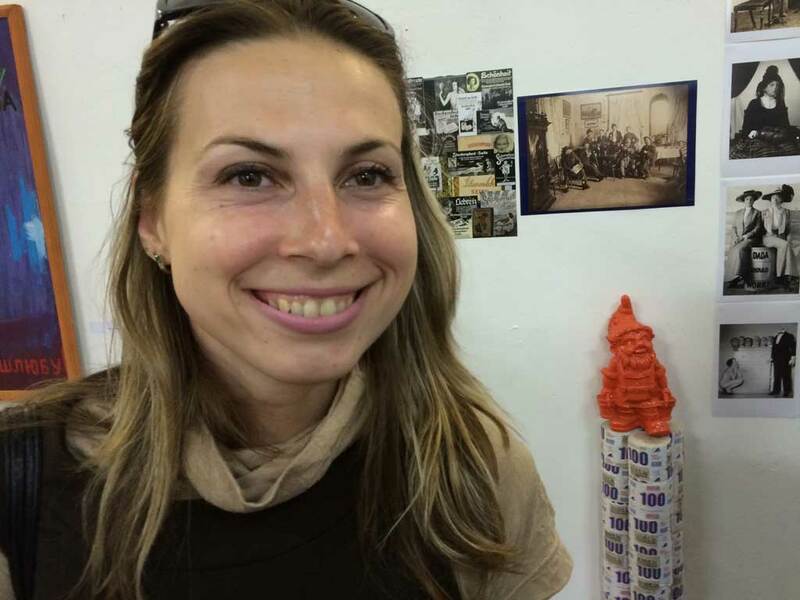 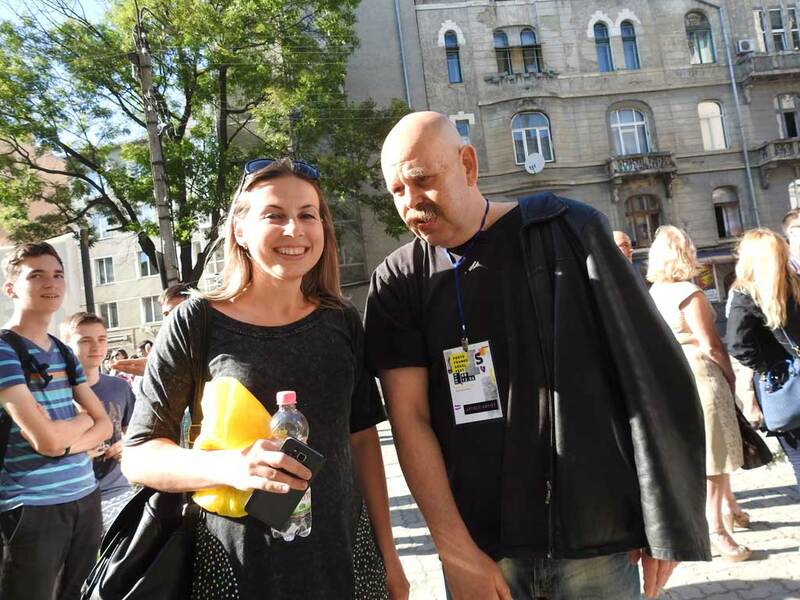 Not until I volunteered to be the official photographer during the Congress of Draftsmen at the temporary Althamer Art Residence in Ivano-Frankivsk in May 2015. 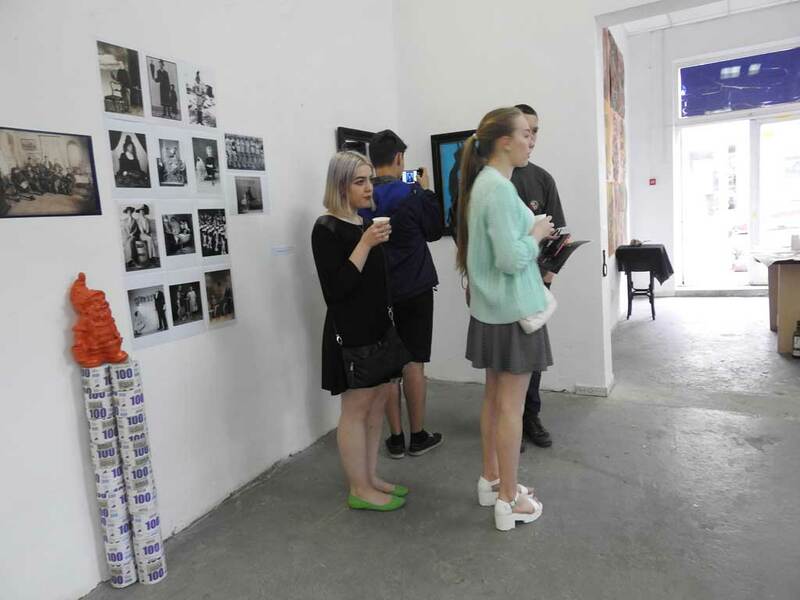 It was an 8-day venue open for everybody and anybody with a strive for visual creation and self-expression. 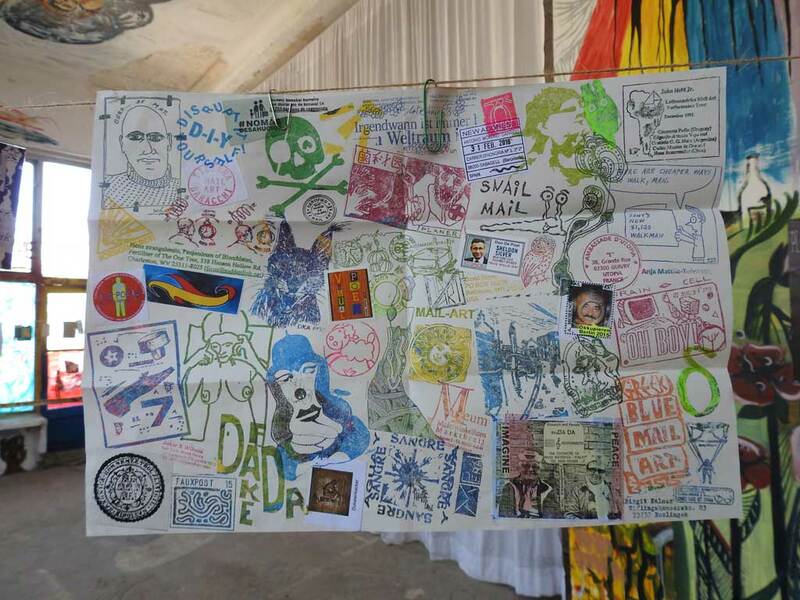 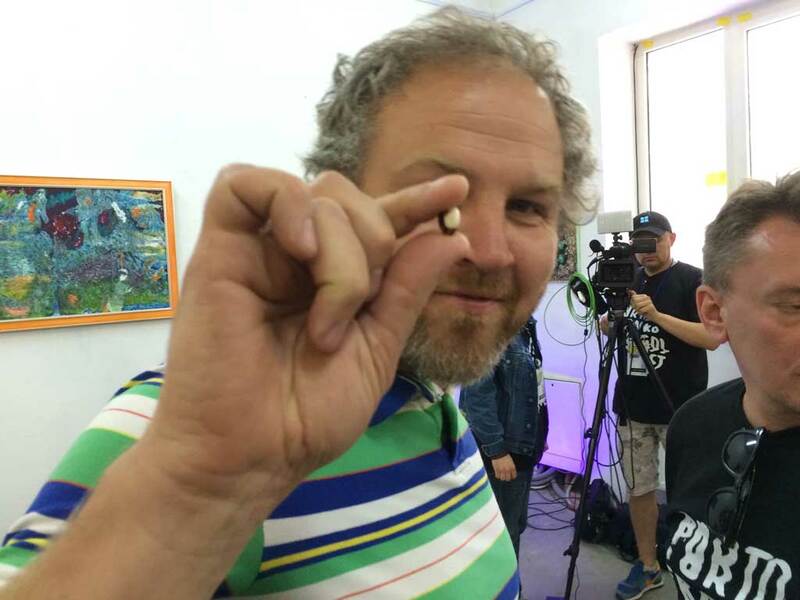 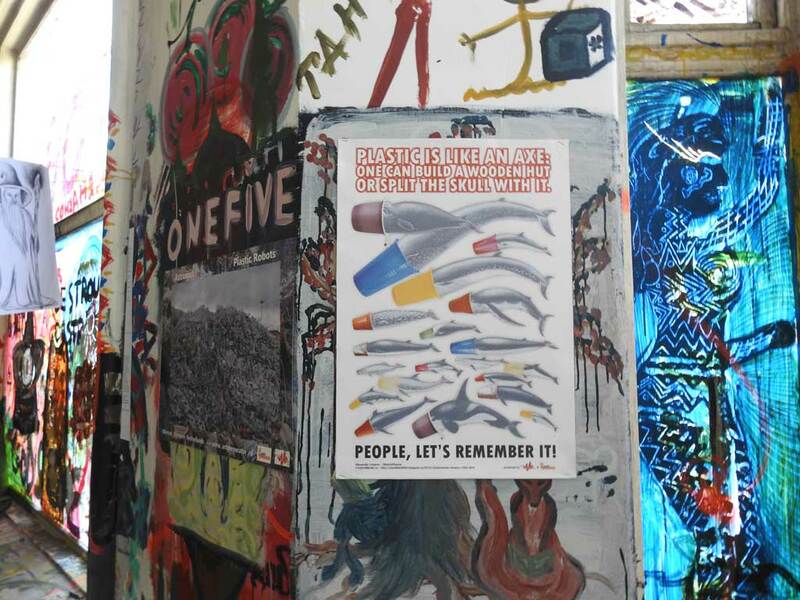 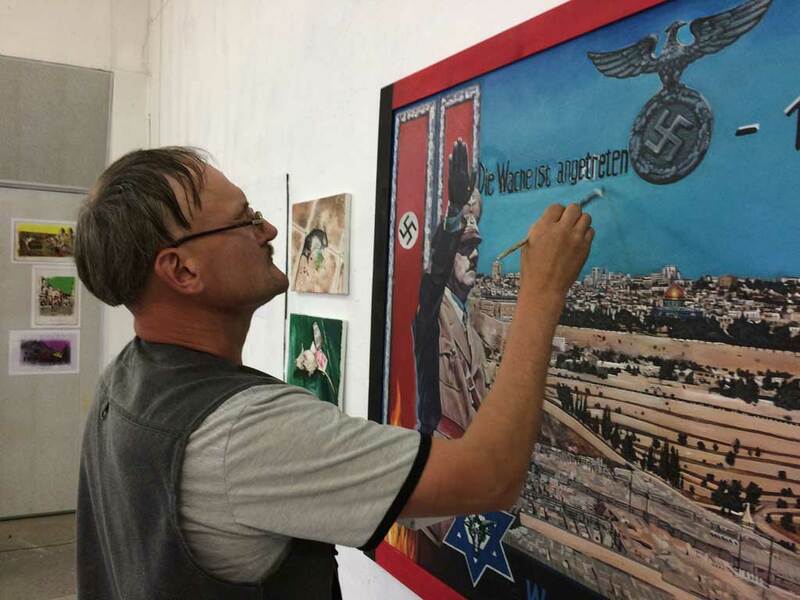 Pawel Althamer was the ideological leader of the event, but at the same time the symbol and a ‘bait’ to draw people’s attention. 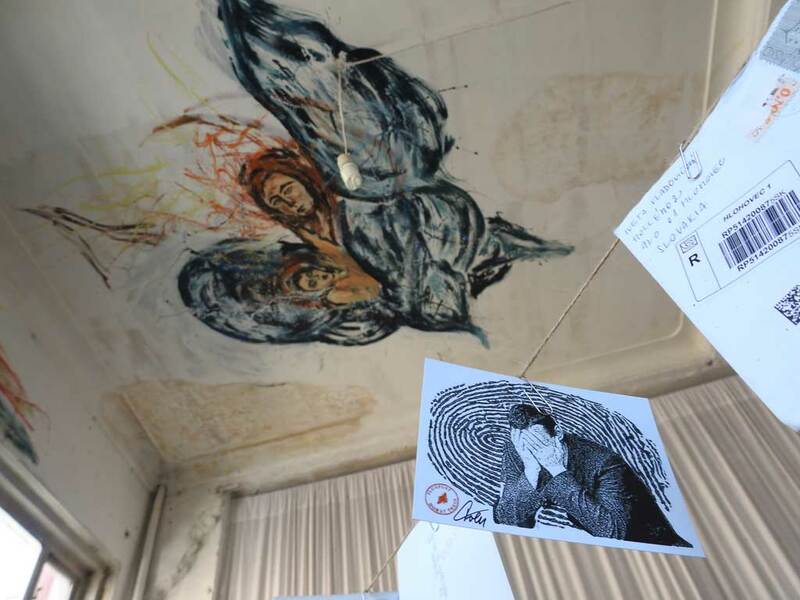 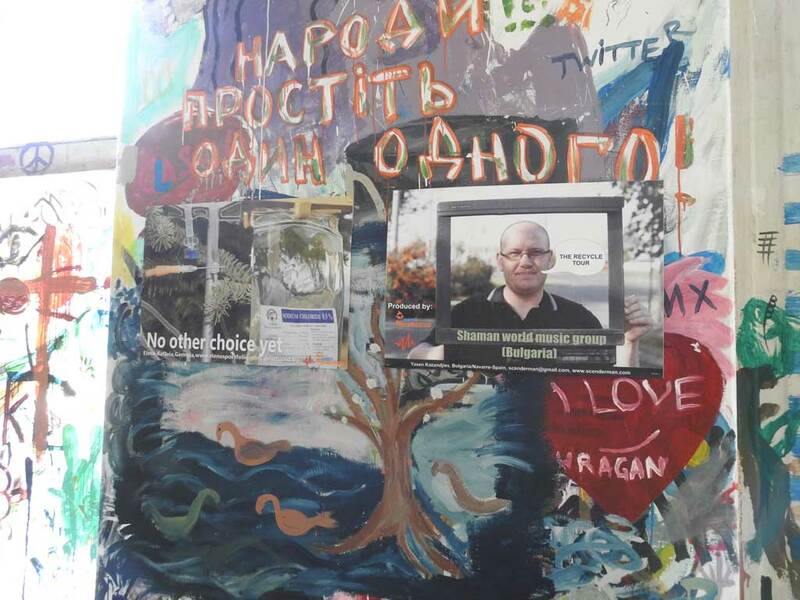 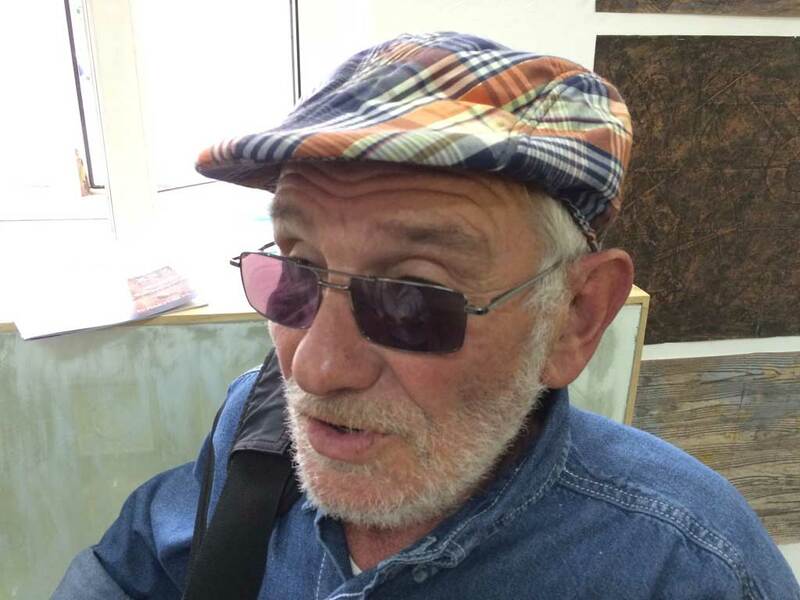 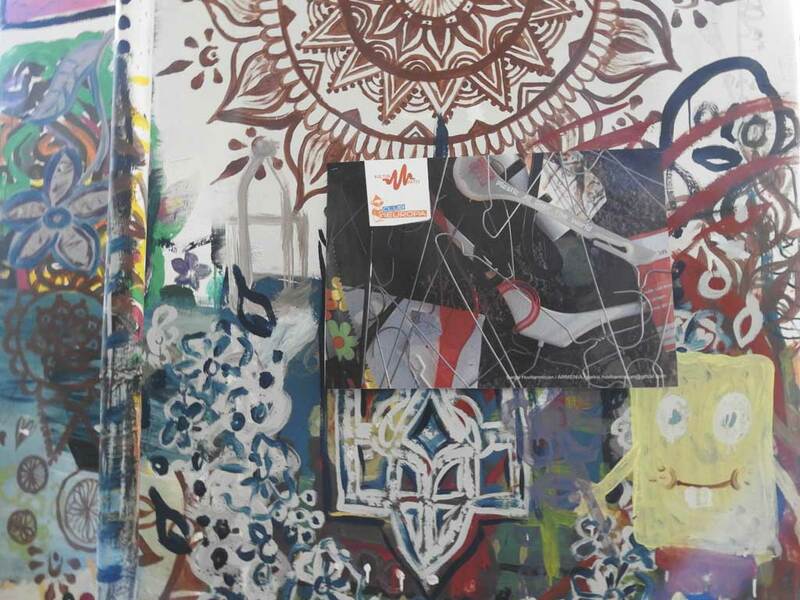 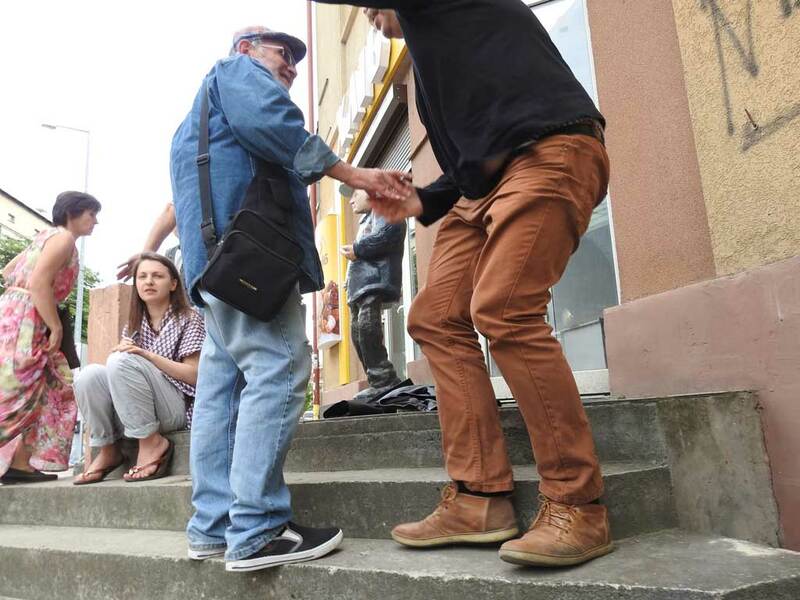 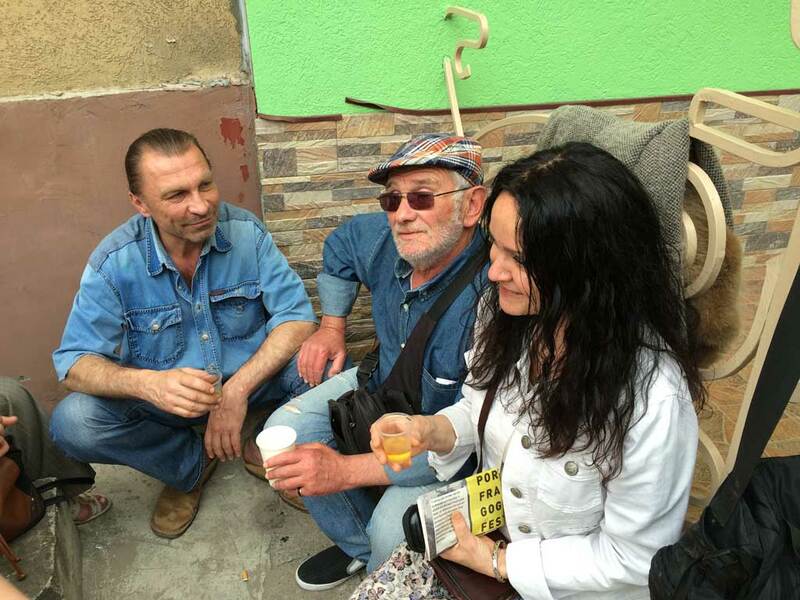 Together with his team of free artists he has conducted similar projects in many cities around the world, but for Ivano-Frankivsk, it was something completely new and unseen before. 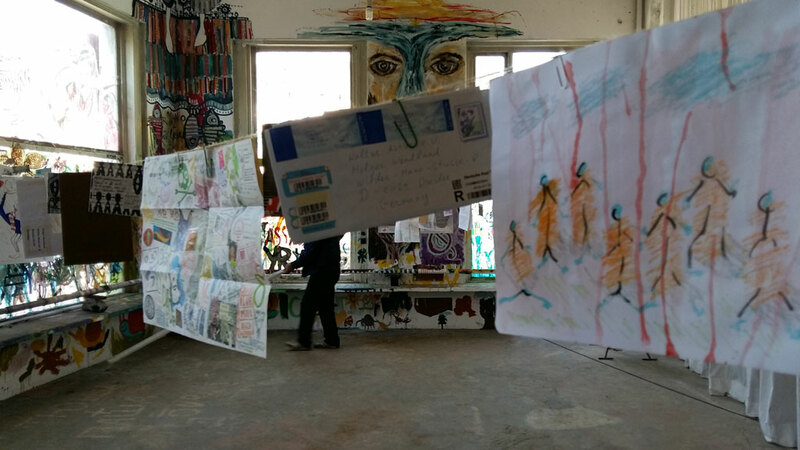 For me, the Draftsmen Congress at the Althamer Art Residence was a physically limited, but photographically spanless space, part of which I felt and actually was. 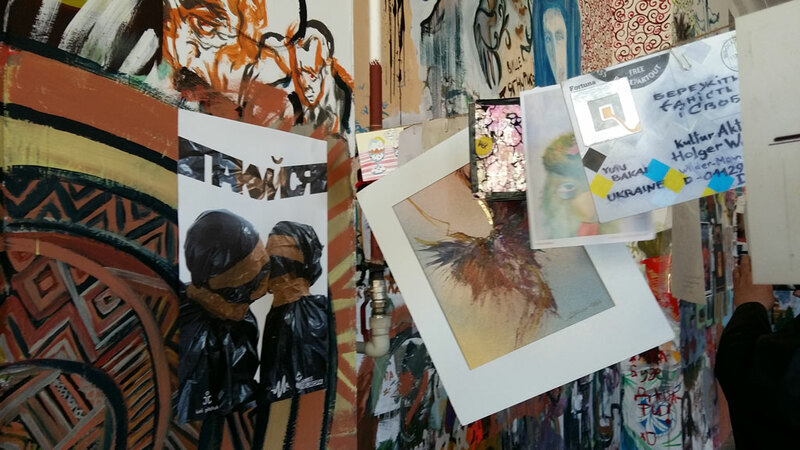 Creative freedom let me take pictures hardly imaginable in usual all-day circumstances. 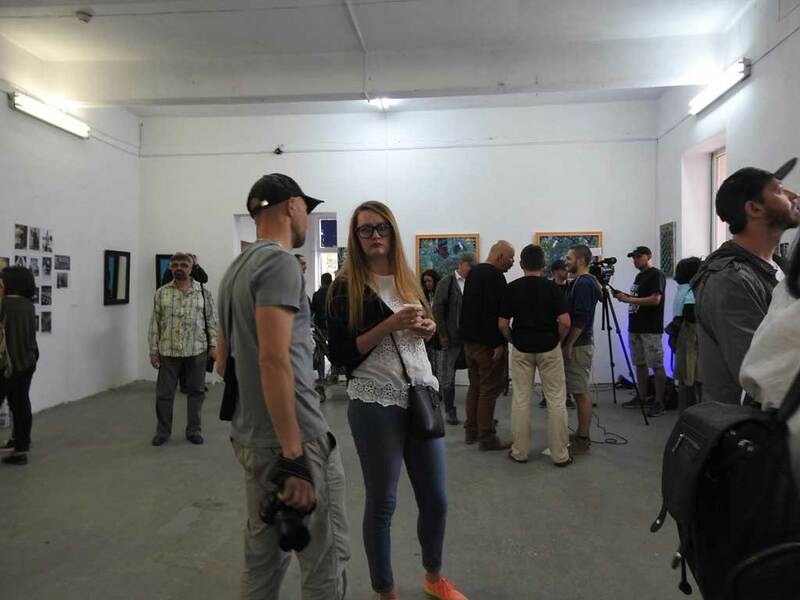 Visual richness intertwined with dynamically changing action and characters was very inspiring in a photographic sense, thus not tiring at all, in spite of the non-stop 8-day duration. Here you can see some of the pictures I took, some with commentaries, some without. 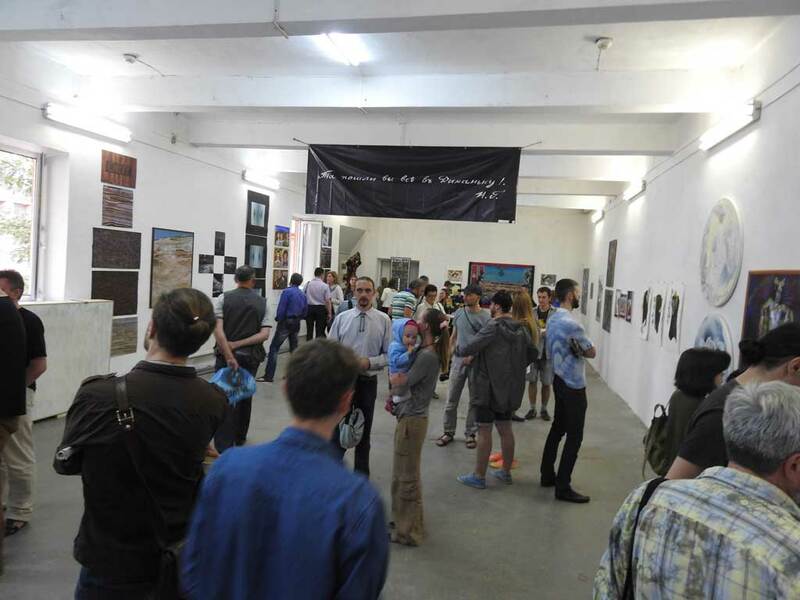 It was a great experience for us to create our projects on the wall of this exciting fulfilled walls and windows.